So the weekend finally arrived. 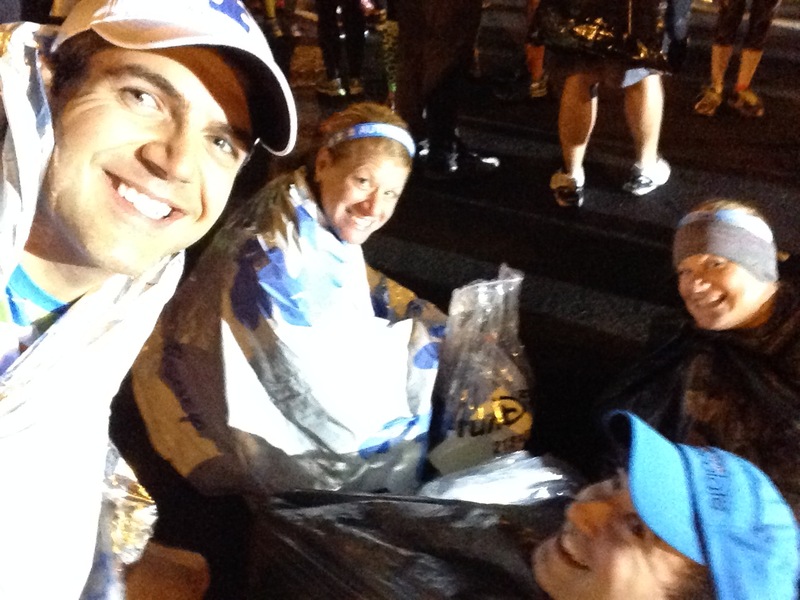 All the training was done, all the fundraising was done, all the packing was done. 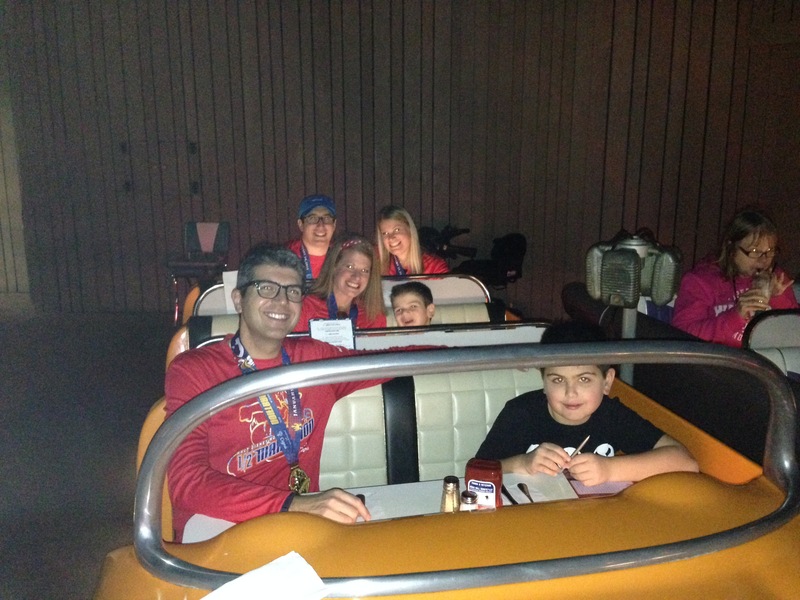 We had our advance dining reservations (actually done way back within the 180 day window in July!!) 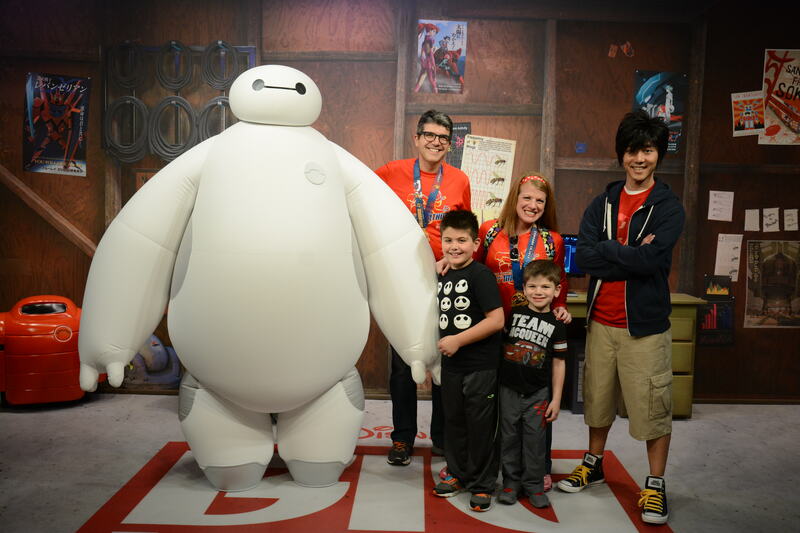 and all our Fast Pass+ reservations were booked. We were all set. 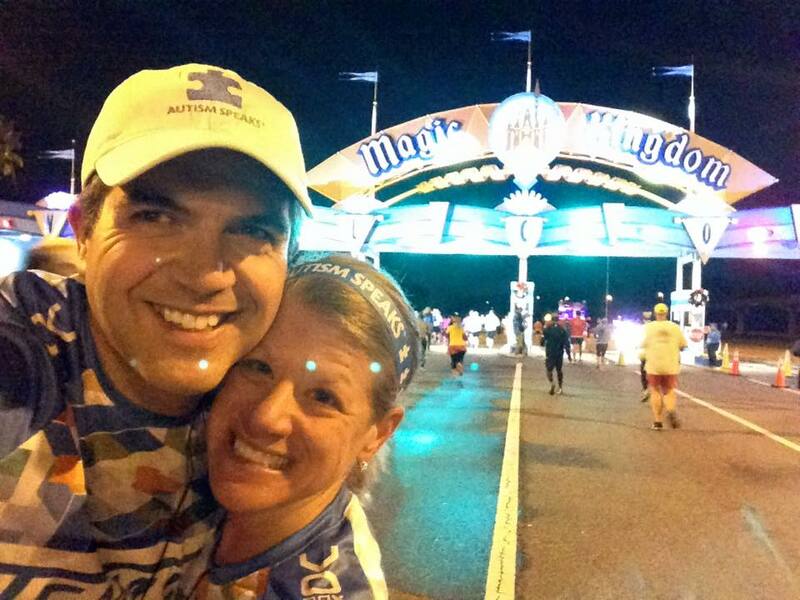 This year my wife and I were running the Goofy Challenge (39.3 miles over two days) for Autism Speaks. 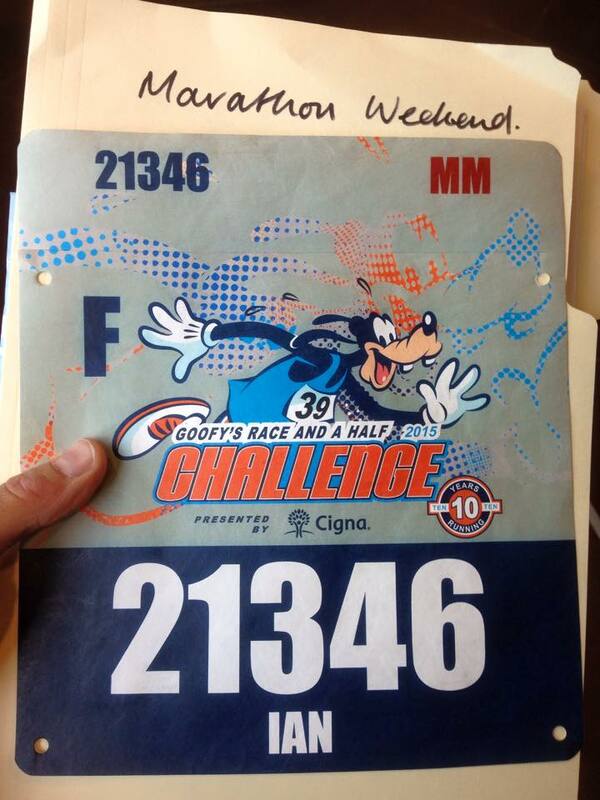 Last year I ran the Dopey Challenge (48.6 miles over fours) but wised up and ‘only’ signed up for the Goofy. 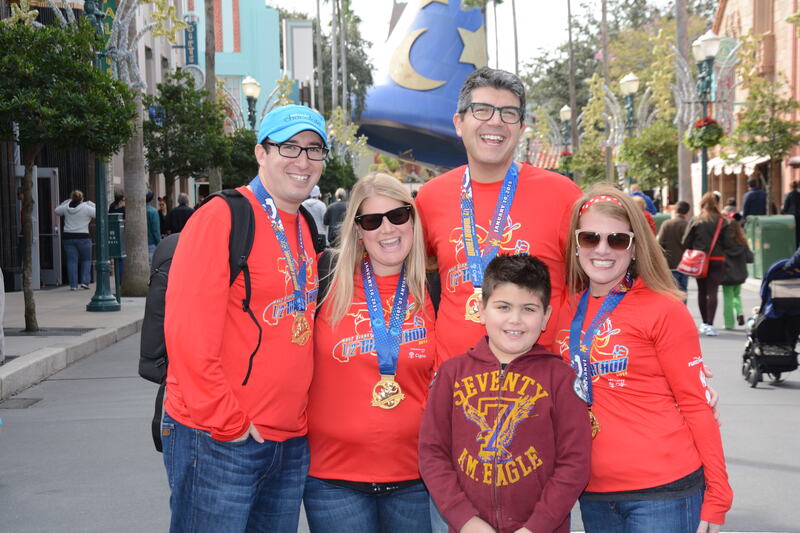 Actually the big difference was that we were able to travel down as a family this year. 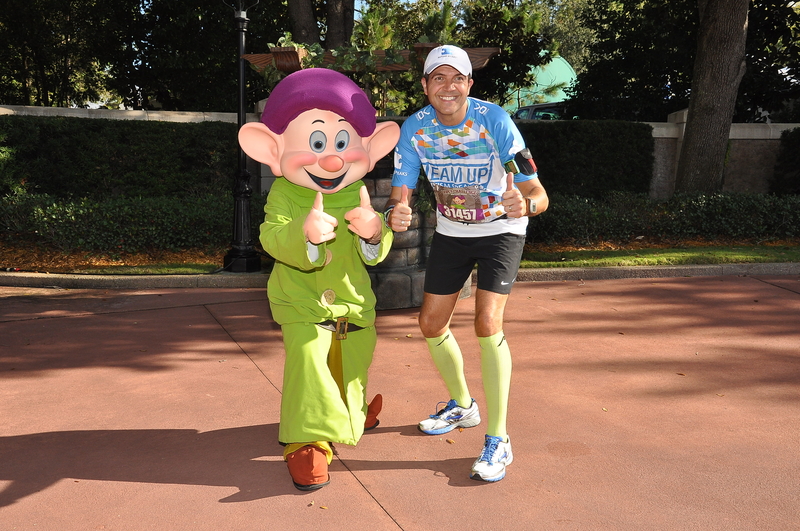 The first couple of days of the week I was following my friends who were running the Dopey Challenge and were already down in Orlando. I was getting antsy. 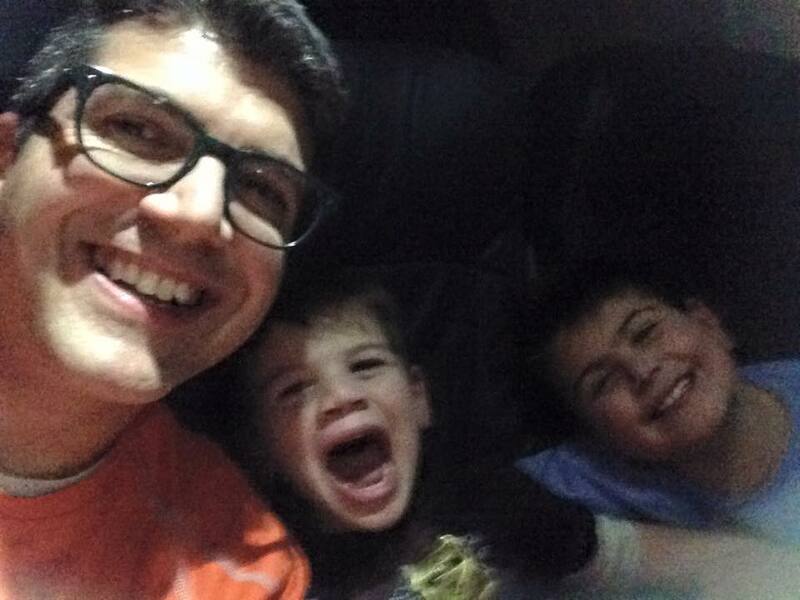 Thursday evening finally rolled around and we set off from the Philadelphia airport on time. 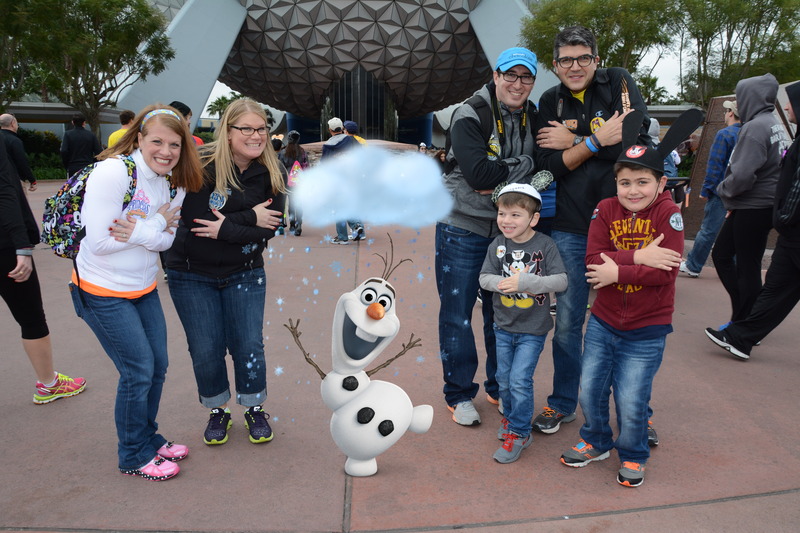 I think I was more excited than my boys about going to Walt Disney World (as always). 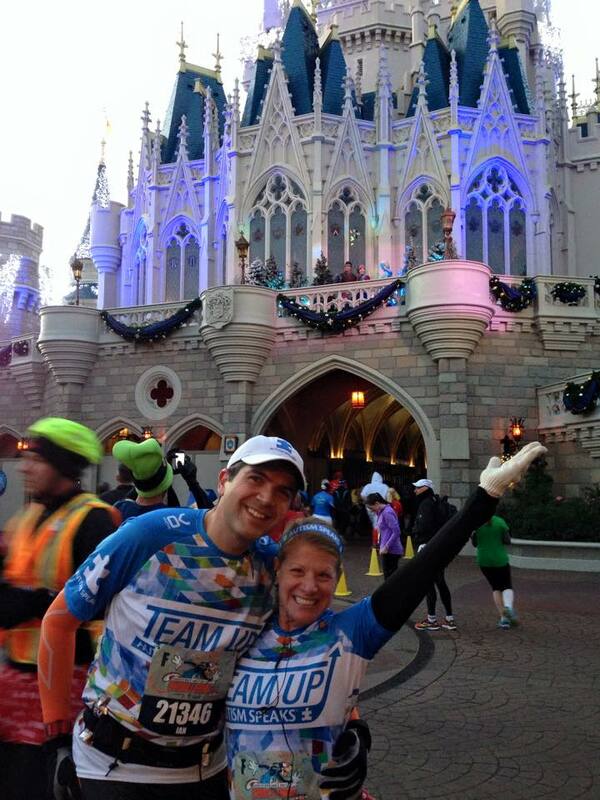 We were traveling down with my sister-in-law and her husband who were running the half marathon this year. On board our flight and ready to go. Okay, so maybe my youngest looks a little more excited. After settling into our hotel and getting a few hours sleep (more than we would be for the next two days) we got up early and headed over to the race expo. 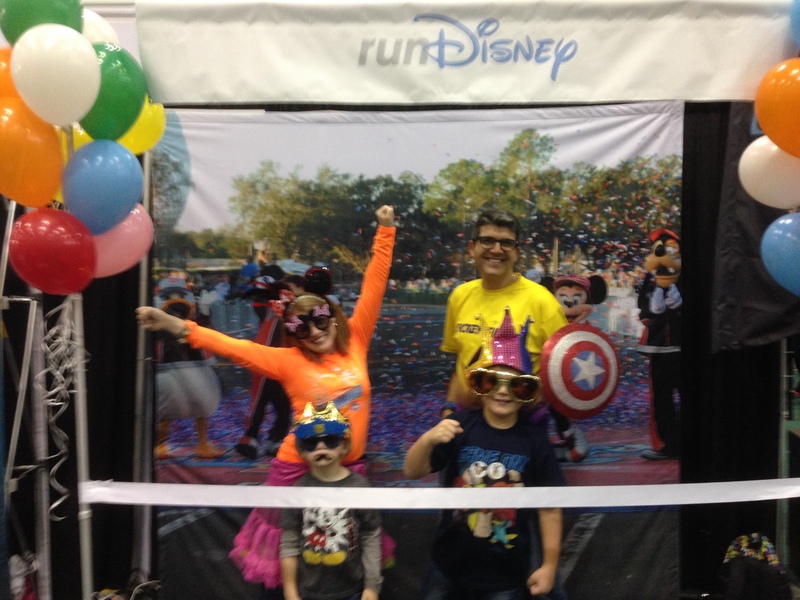 I was planning to wear the charity gear for the half marathon and our ‘costumes’ for the full marathon so I wore my ‘Mickey Milers‘ shirt to attend the expo. 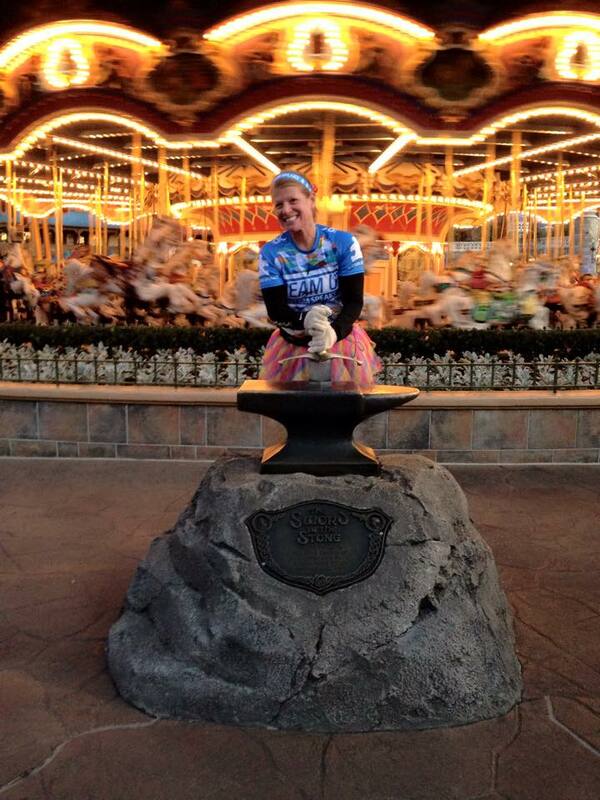 I also had my Mickey Milers button on my jacket so I could meet or catch up with fellow team mates. 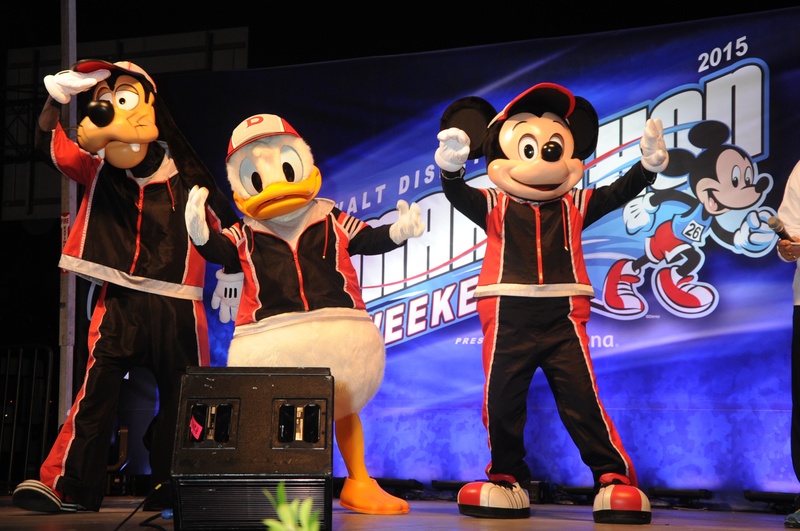 The expo was held as in prior years at the ESPN Wild World of Sports. The bib pick up was in the HP Field House. 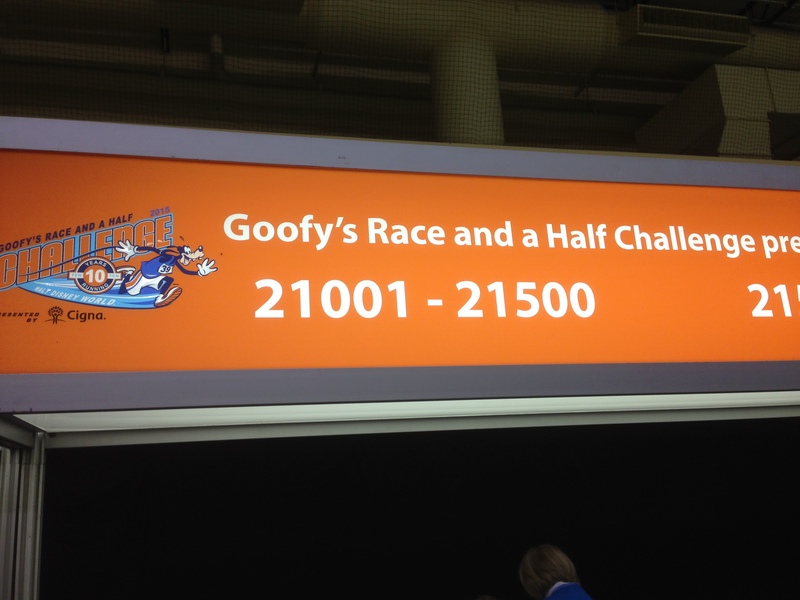 The Goofy and Dopey bib pick up was upstairs while the half marathon and full marathon were downstairs. 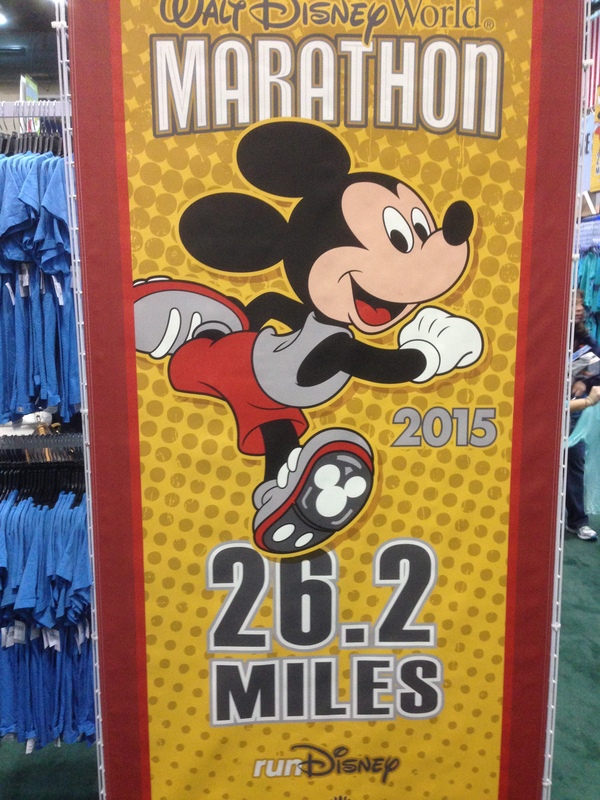 While picking up the bibs we were handed our race shirts. 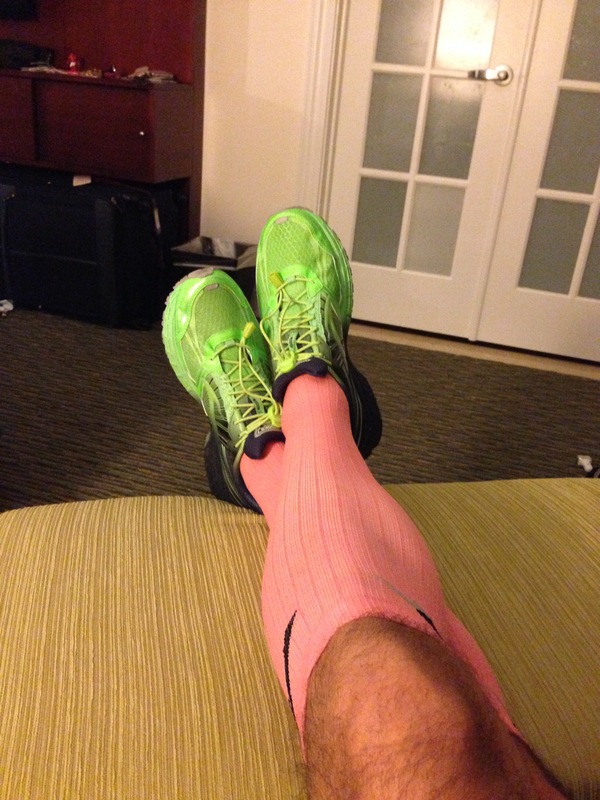 I actually selected a smaller size this year at registration and that worked out well. 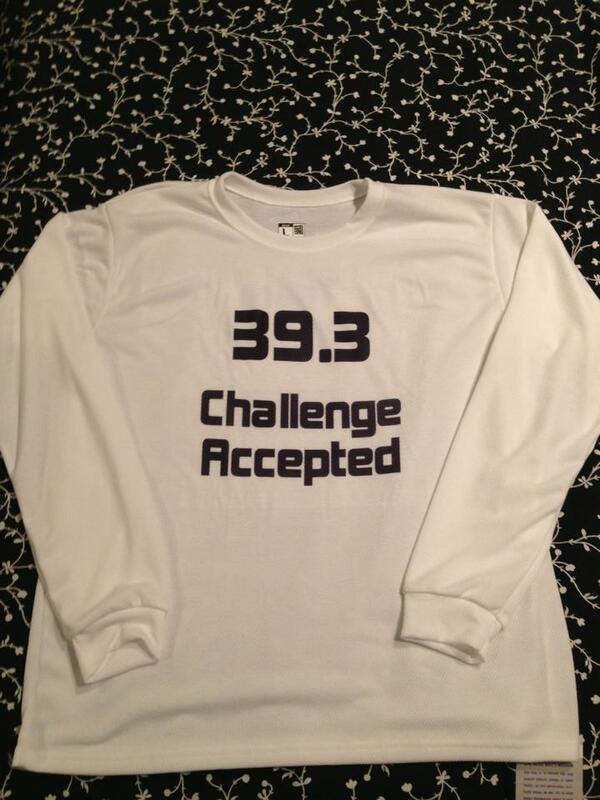 The race shirts were really nice. 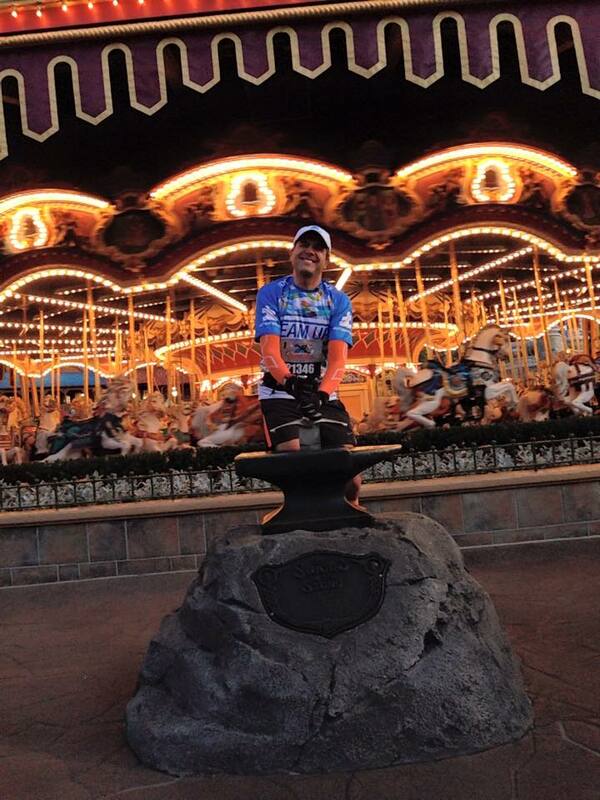 The Goofy shirt would be useful in case of being stranded on an island…it was BRIGHT orange. 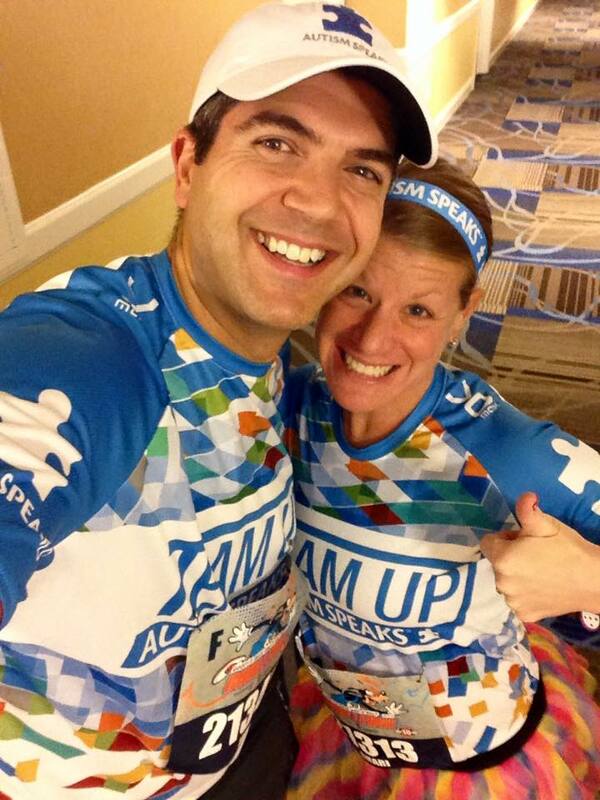 I like the changes that they made to the race shirts last year and they kept them for this year too. Very nice and soft to the touch. 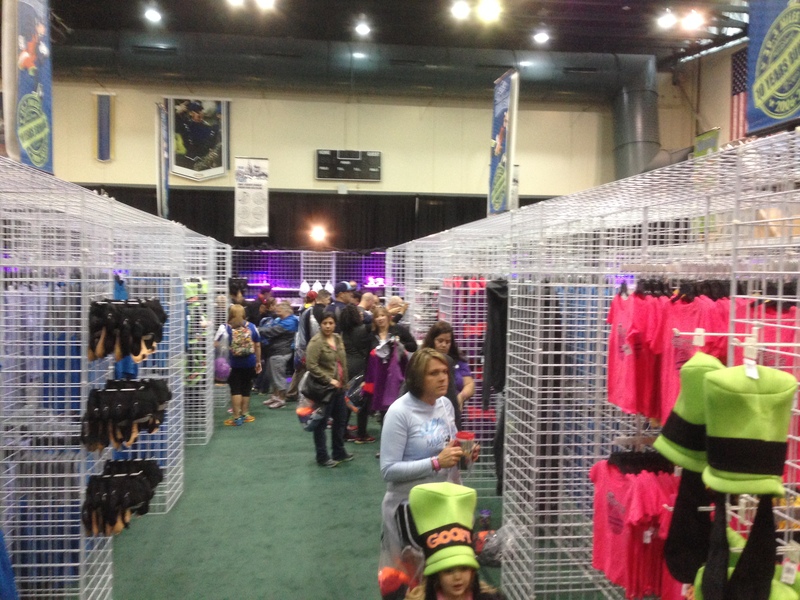 There was a little merchandise in the Field House but I don’t recall that it was open at the time we arrived so we rejoined my sister-in-law and her husband and headed over to the Jostens Center for the main expo. There were also some stand alone booths outside near the stadium but it was cool outside (it had been raining) and we knew most of the stuff we wanted would be inside. 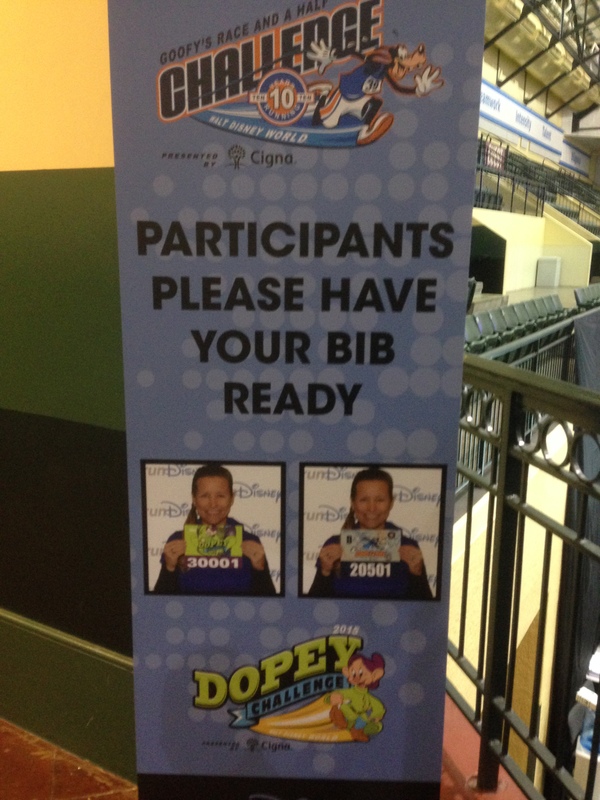 One thing that was different this year was the new rule that anyone running one of the runDisney challenges during the weekend (Goofy and Dopey) had to have their picture taken with their bib. 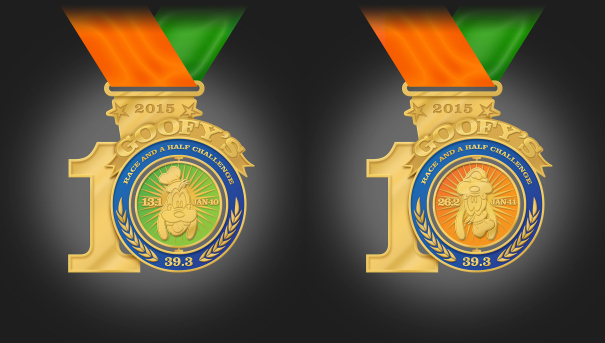 This was to replace the wristband system that was in place last year to prove that you have completed each race. They’re watching your every move!!! As we entered we put into effect our plan to keep the boys occupied so we could all browse the expo. My wife and I use our old iPhones as iPods for our boys and so they have some games/apps/movies to keep them occupied. 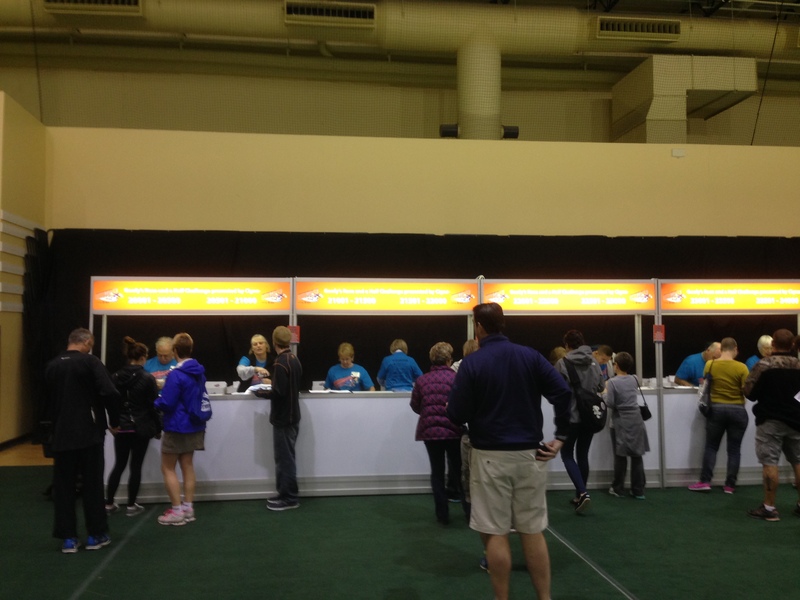 We chose a corner of the expo where they could see us and where we could see them. Everyone was happy. 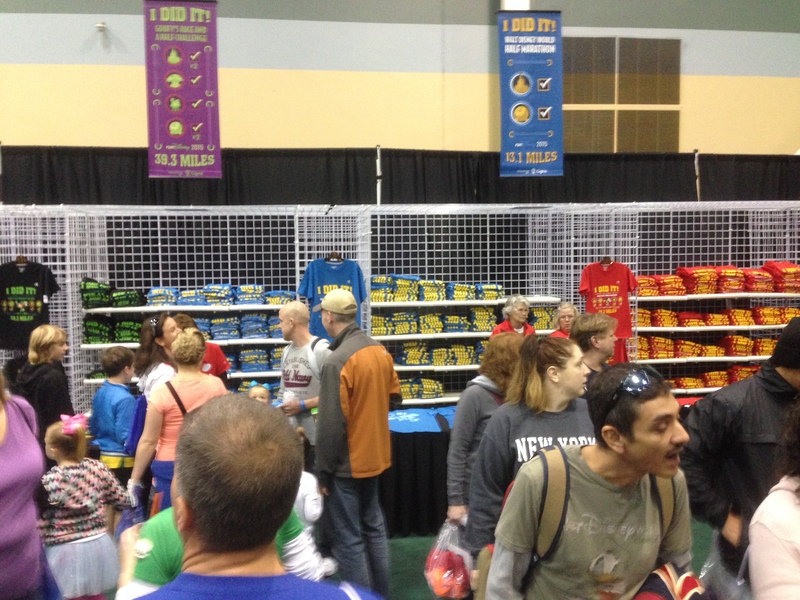 The expo was set up like previous years and we hit the official runDisney merchandise section. It was set out in aisles by races with each race having some unique merchandise vs other races (e.g. jackets vs fleeces). After grabbing our car magnets we looked around for a while. We didn’t do too much damage this year. 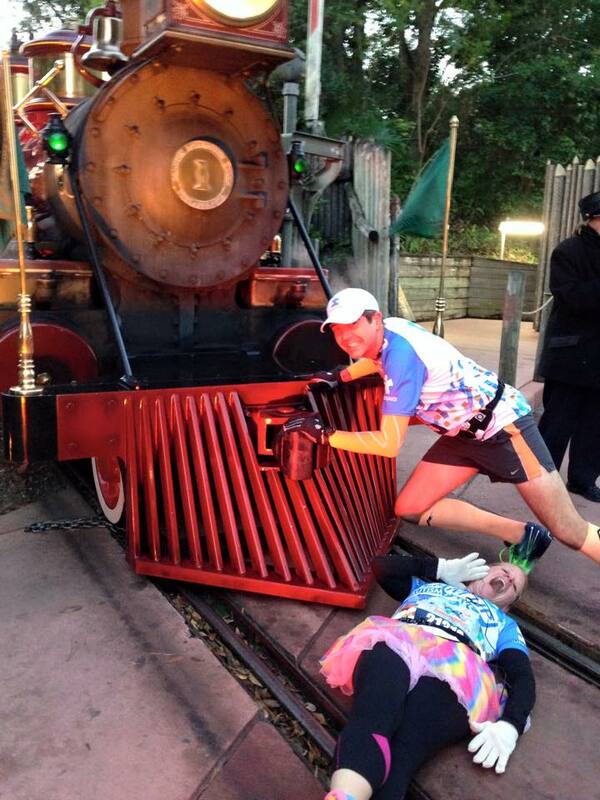 How much can you really buy these days having done these races for the last few years. Not much other than the year and color changes on some products. Still, some nice stuff. 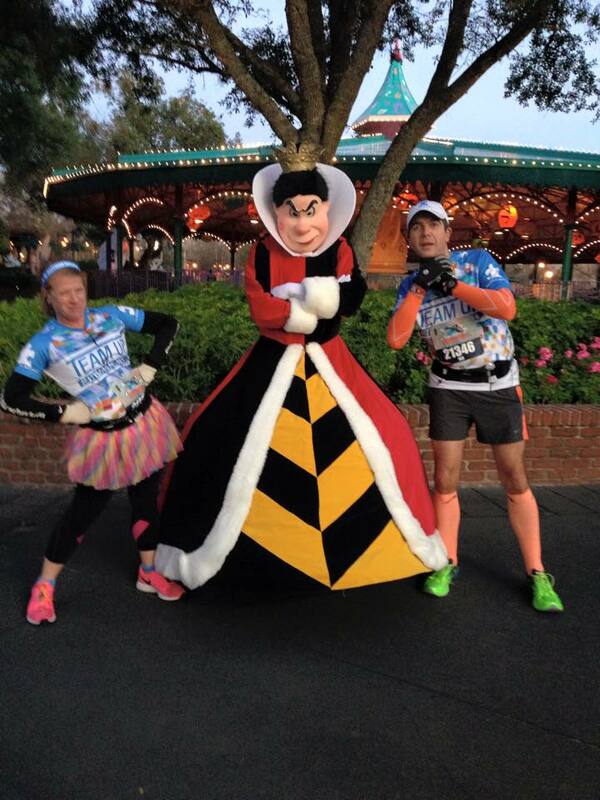 The character hats were unique though but not really runDisney as we did say some for sale in the parks later. 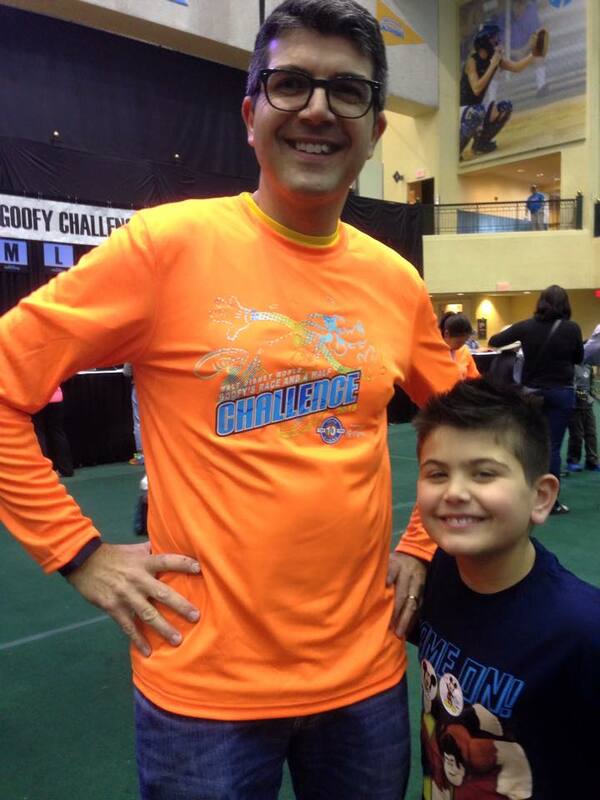 I did notice that the ‘I Did It’ shirts were cotton this year and not the tech like last year. I had planned on purchasing one of those but skipped as a result. 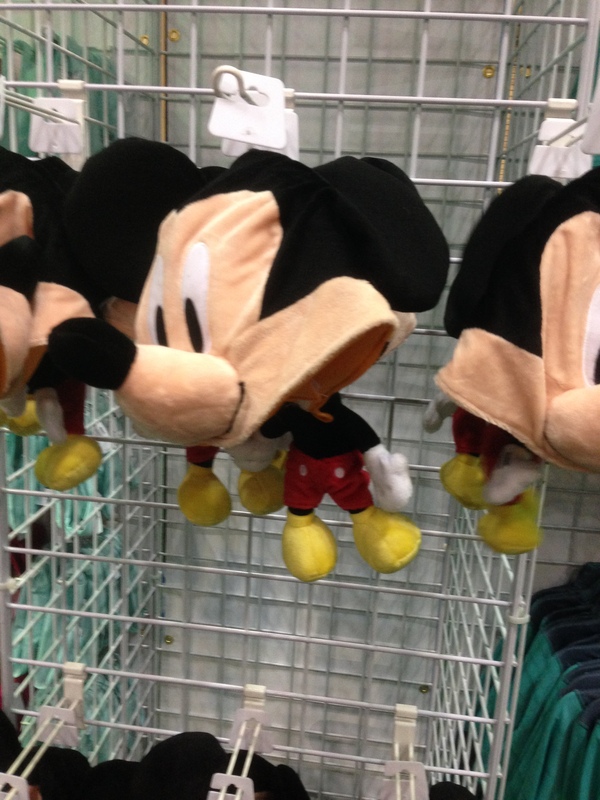 The Mickey hats were fun. They also had Donald and Goofy variants. 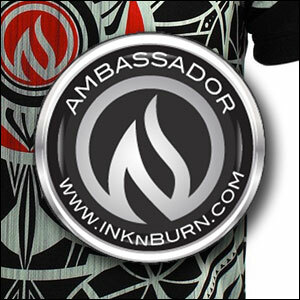 Check out was quick and easy. 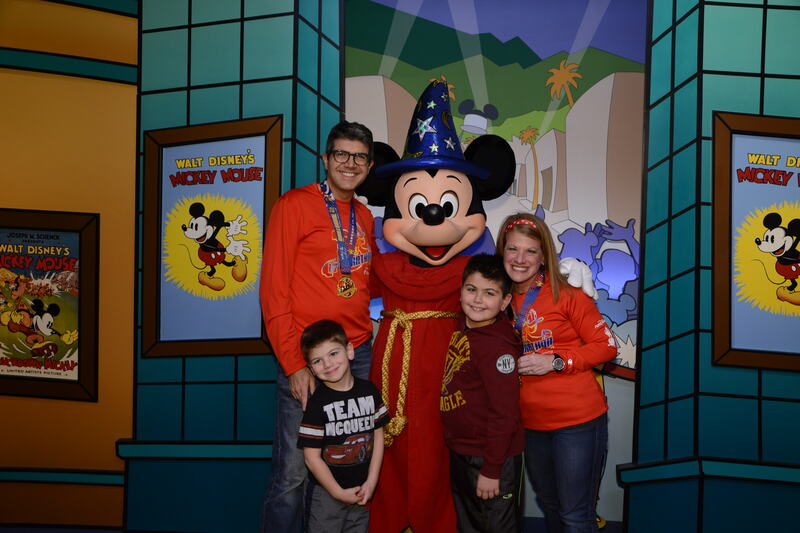 We didn’t spend too much time there as we wanted to have a quick walk through the expo and we had Fast Passes waiting for us at EPCOT. 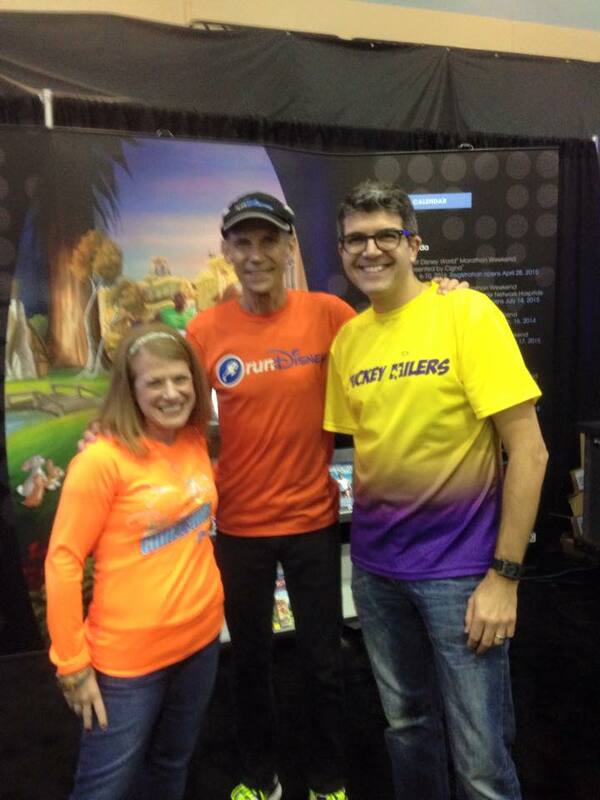 We did stop by to say hello and meet up with Jeff Galloway. 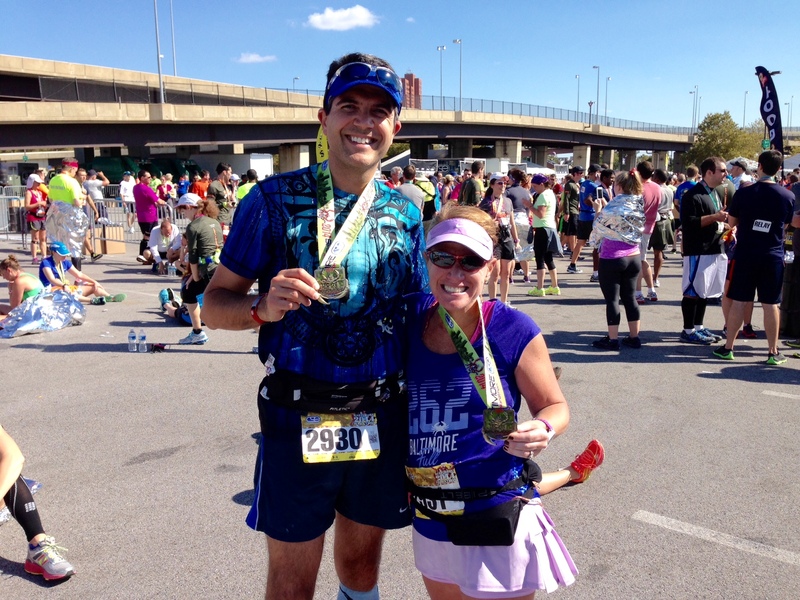 Without Jeff’s training methods both Shari and I wouldn’t be multiple marathoners. We got a chance to have a quick chat with him. He is so approachable and encouraging. Walking around the expo we saw the regular attendees. We didn’t go there needing anything so planned to walk around and see if there would be something unique. 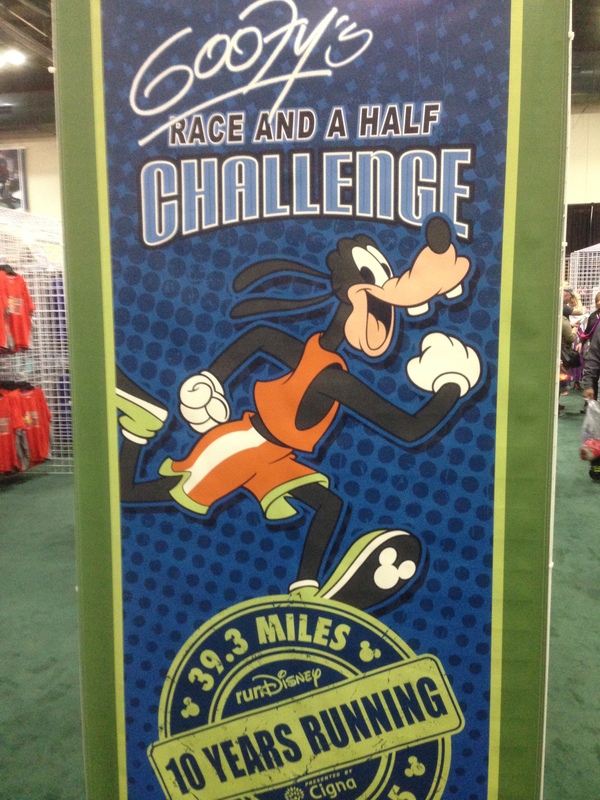 There were a few nice runDisney specific shirts at the Champion booth but there weren’t any left in my size by the time we got there. 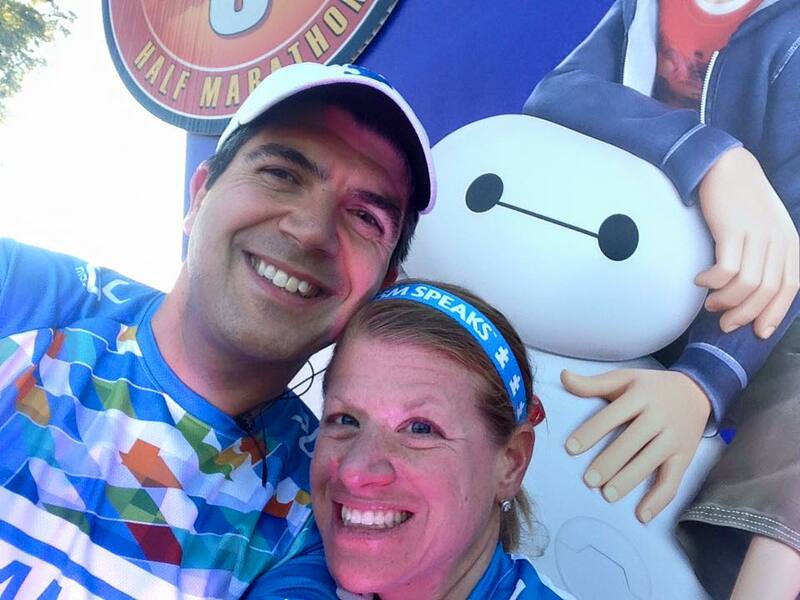 My wife however picked up a few ‘Sweaty Bands‘ including her runDisney branded band and I picked up a pair of arm sleeves by 2XU. 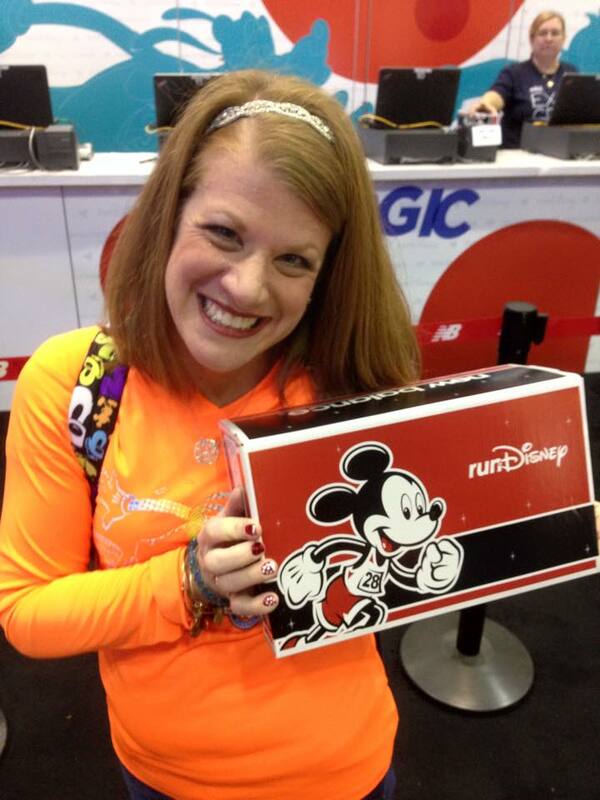 My wife was intrigued by the runDisney shoes following our conversation with Jill earlier. 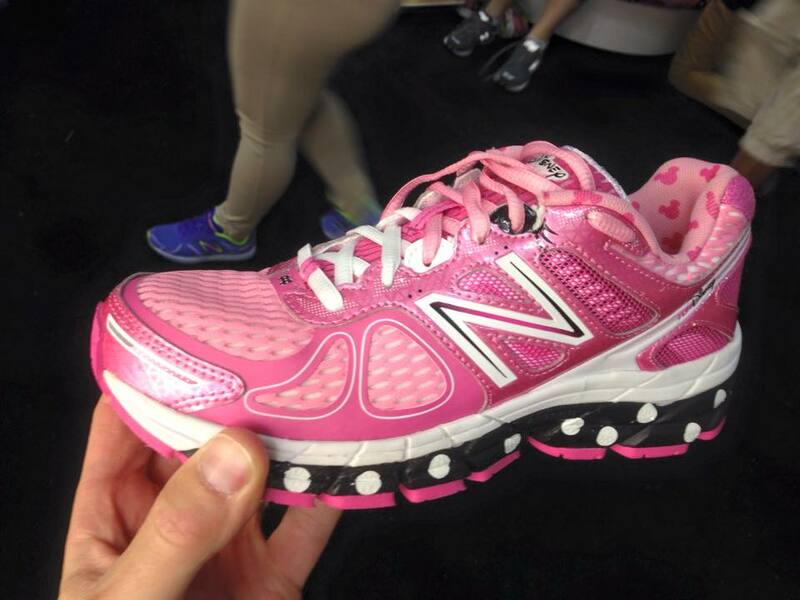 While the New Balance runDisney process for getting these shoes includes pre-registering for an appointment (which we didn’t do) my wife is, how do I say it, umm…on the smaller size. 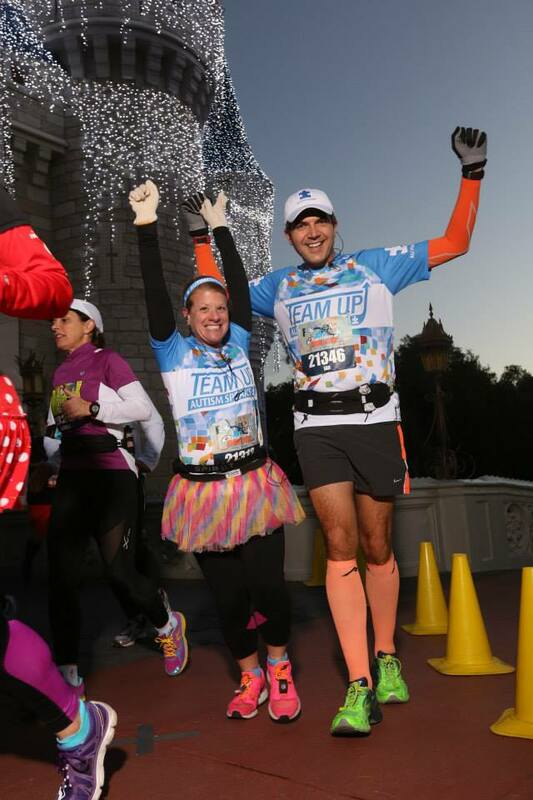 Jill and Shari were of a similar height and Jill told her that she might be able to fit into the youth sizes for which there was no pre-sign up required. 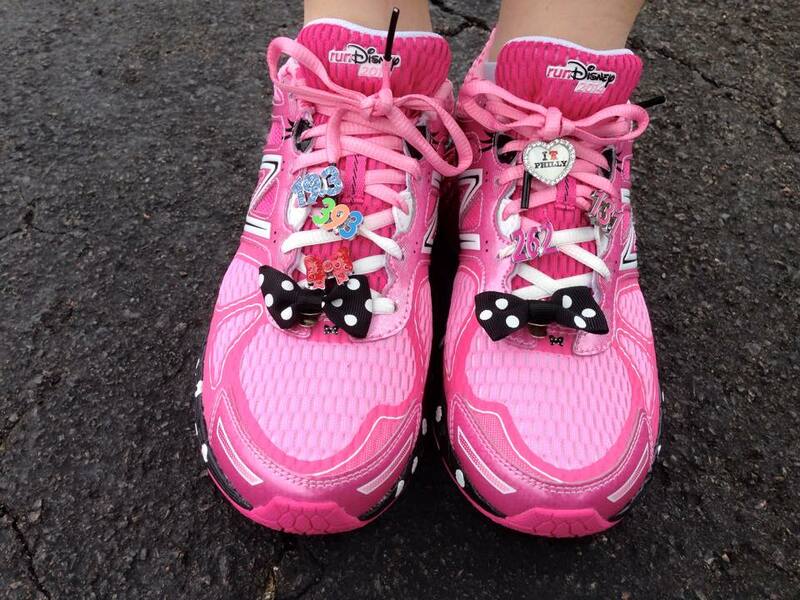 We headed over and before you knew it I was shelling out for some of the pink polka dot Minnie Mouse shoes (from the 2014 range). 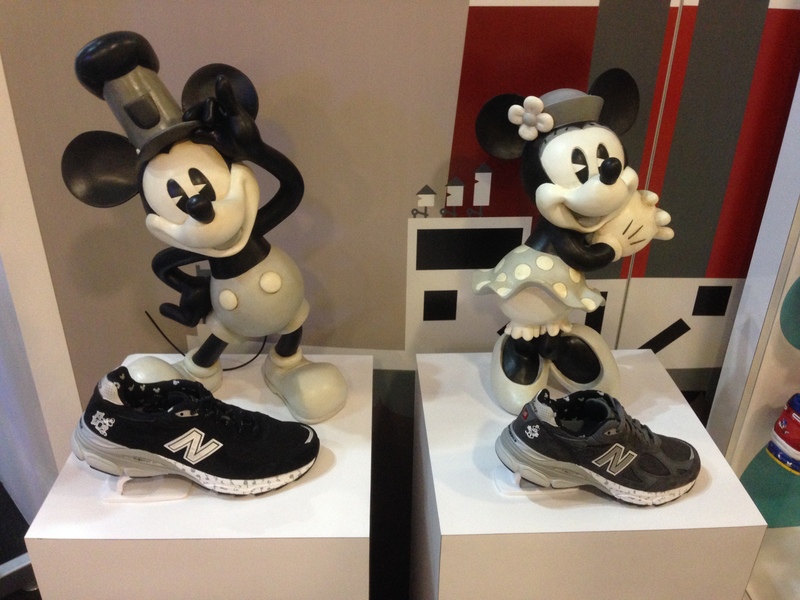 They also had on display the new ‘retro’ “Steamboat Willie” 2015 runDisney shoes. They didn’t really do much for me and for the price of $185 they were a bit of a surprise compared to the 2014 colorful ones. 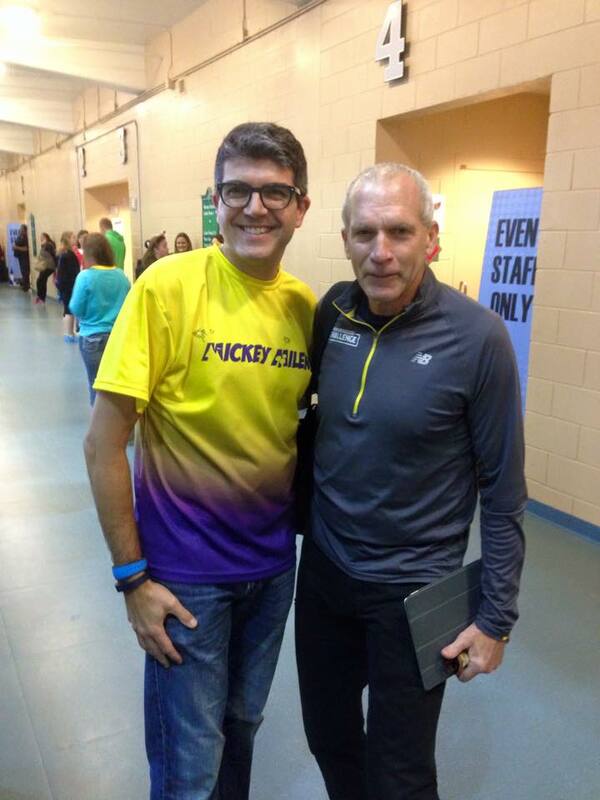 As I was waiting for everyone to wrap up their time at the expo I bumped into and said a quick hello to Runner’s World Chief Running Officer Bart Yasso. After some time in the front of the park (yeah for Soarin’) and a quick trip around World Showcase with the boys we were all set to meet up with everyone for the dinner at the Team Up dinner. I did make a small purchase in the American Pavilion. 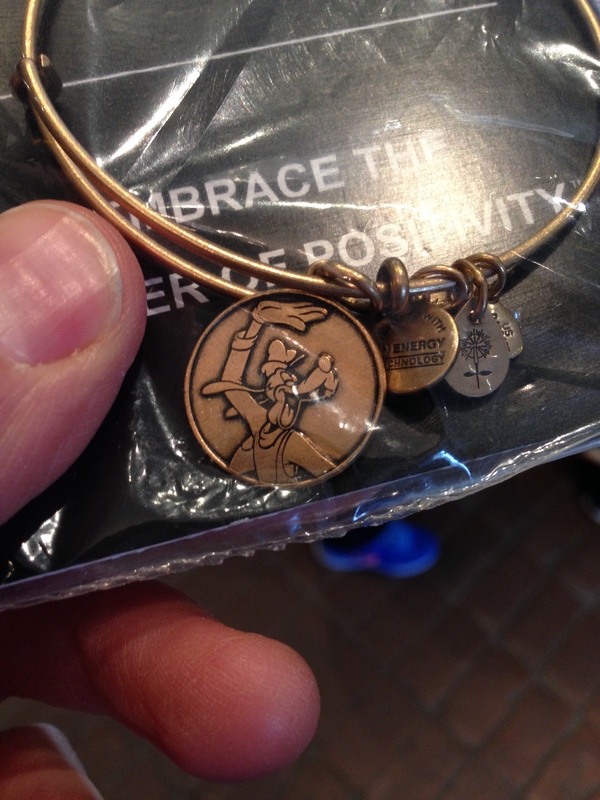 My wife is a big fan of the Alex and Ani bracelets and they have a Disney line (of which I’ve already invested quite a bit). 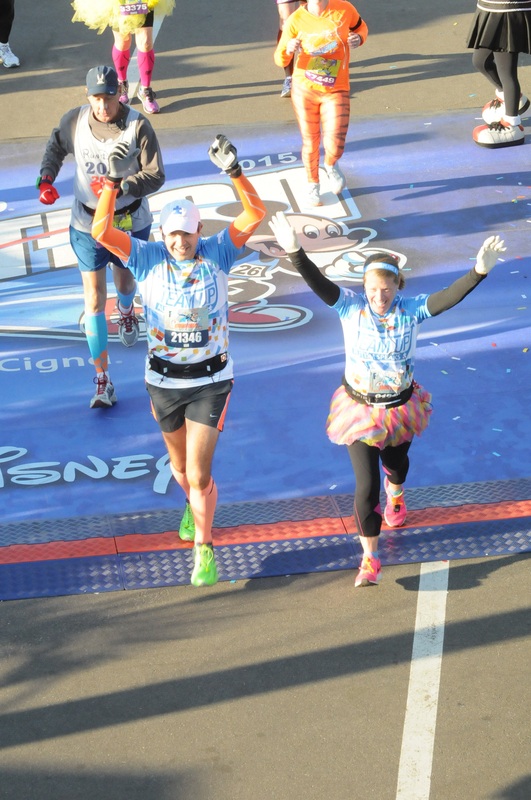 In the store they had a ‘Goofy’ charm which I bought as another keepsake to celebrate her ‘first’ Goofy Challenge. 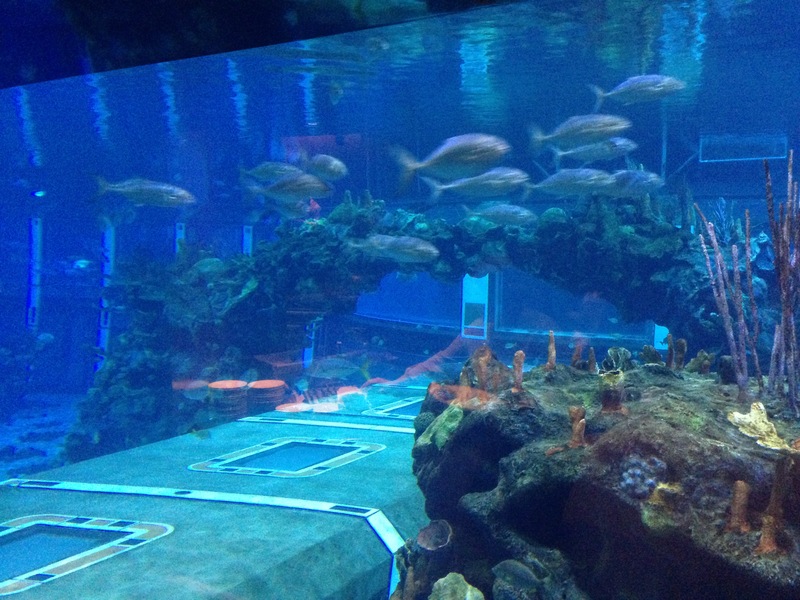 We met up with everyone outside the Living Seas Pavilion at the front of the park before heading into the ‘Living Seas Salon’ banquet suite on the other side of aquarium. 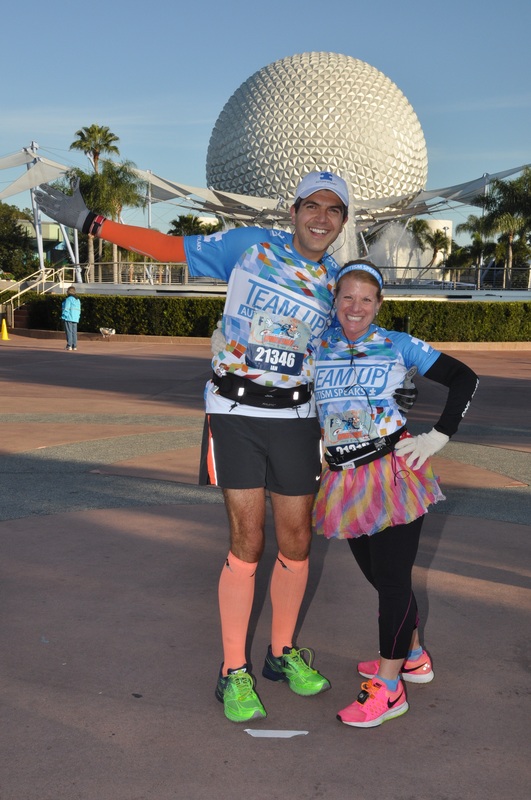 I had changed into my One More Mile custom Goofy shirt that I had made up for my first Goofy when I ran for Team Up back in 2013. 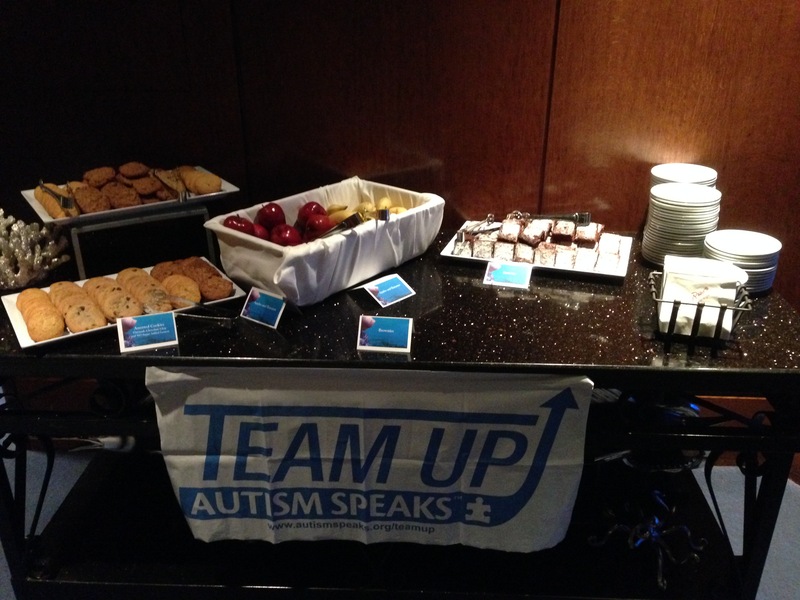 Dinner was hosted by Phillip, the National Director for Team Up and was a nice pasta buffet and dessert dinner. 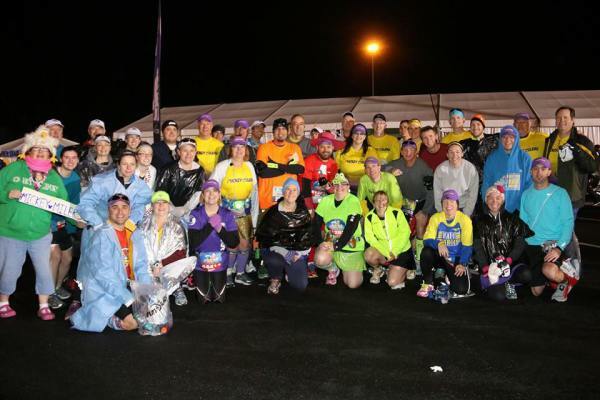 I think there were about 80 runners for this years team and at the date of the dinner we had raised over $163,000 for this event. 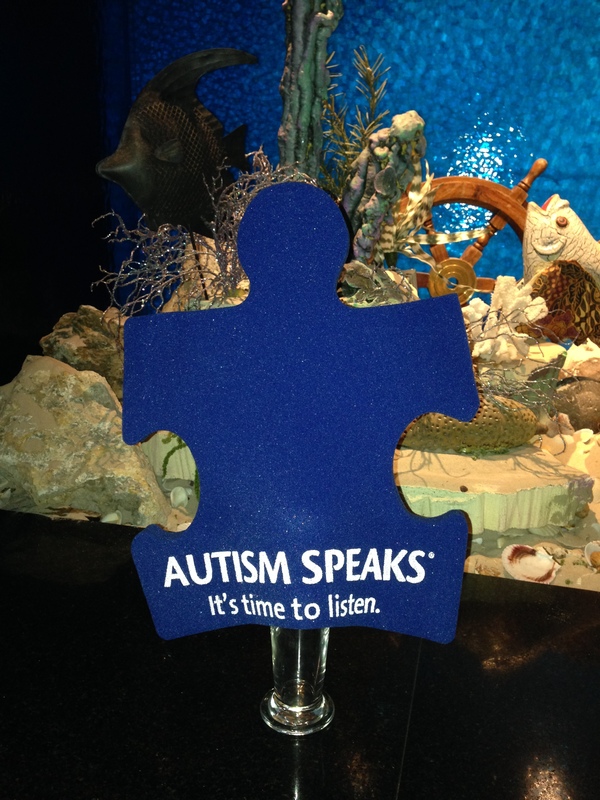 While at the dinner there were a number of speakers sharing the stories of why they run for Autism Speaks. Some of the stories were amazing. Very inspiring evening. 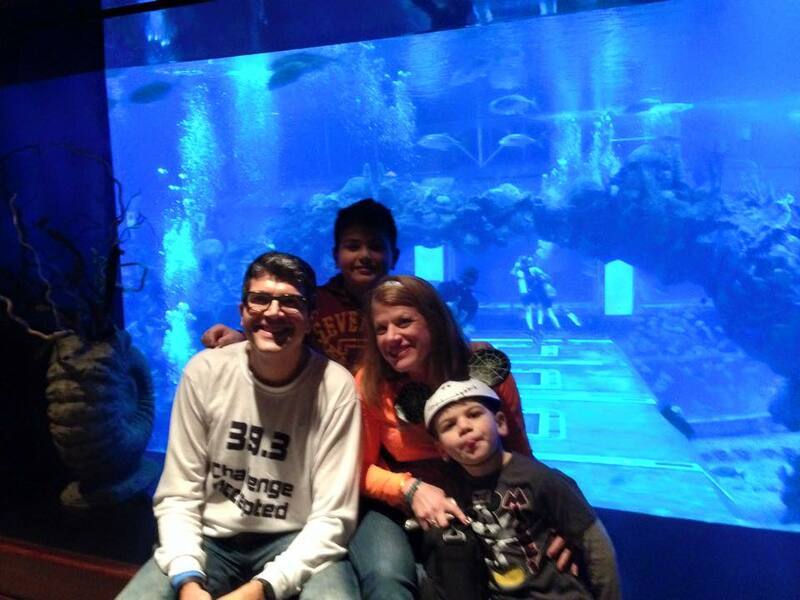 While the speakers were talking our boys were off in a corner making signs for us for the next day and generally enjoying the views of the aquarium. 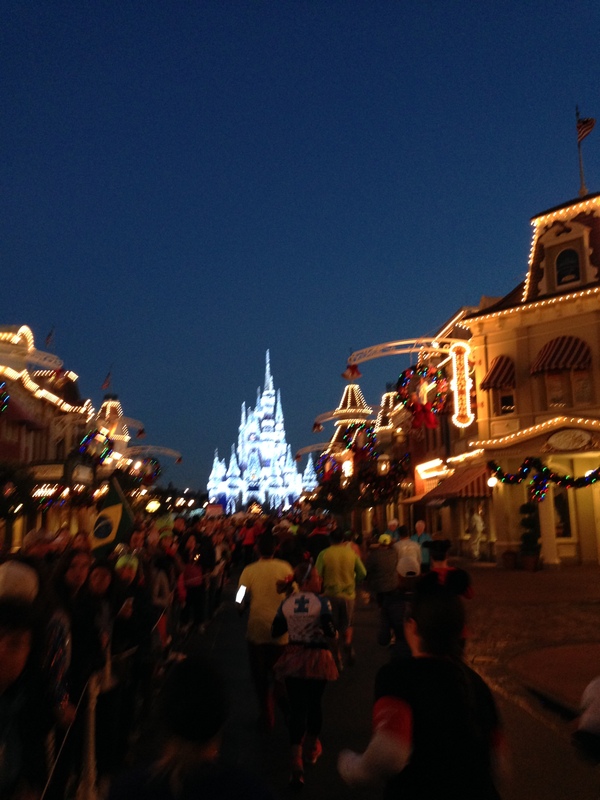 After dinner it was a quick ride on Spaceship Earth, Illuminations fireworks and then heading back to our hotel for the first early wake up call (2:00am) for the half marathon. 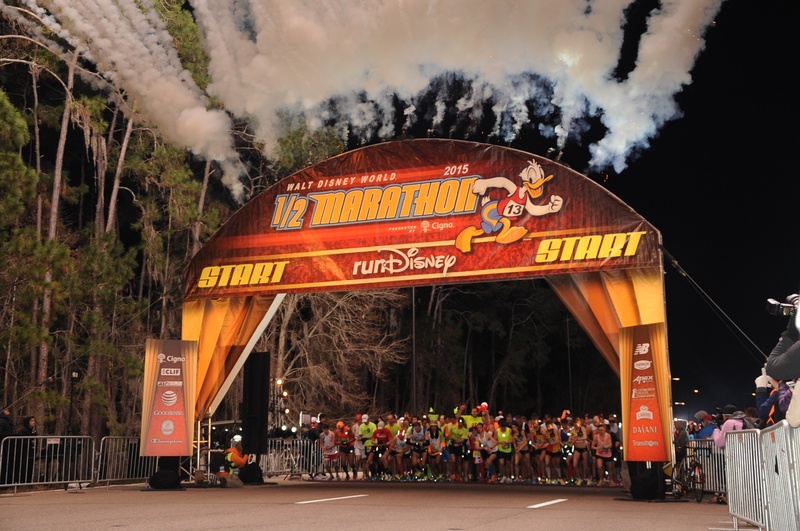 I’m heading down to run the 2015 Walt Disney World marathon. 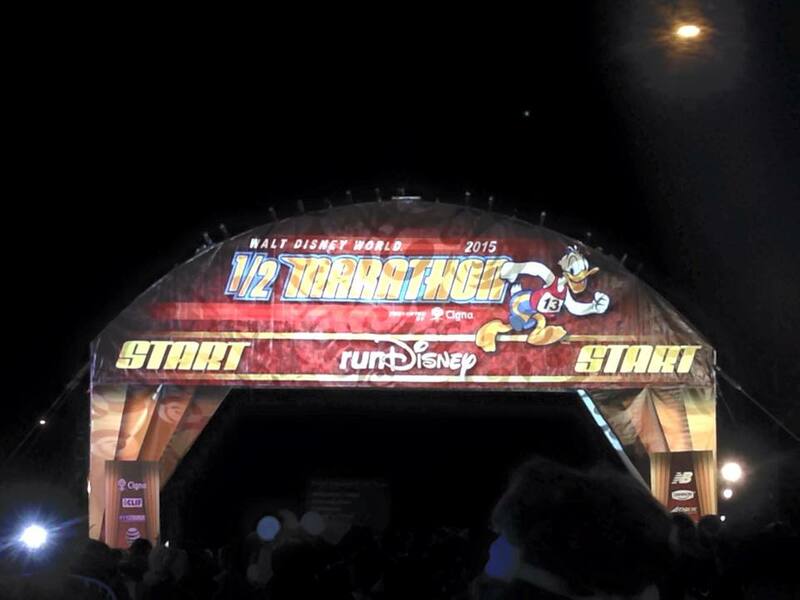 This will be my 4th Walt Disney World Marathon weekend. 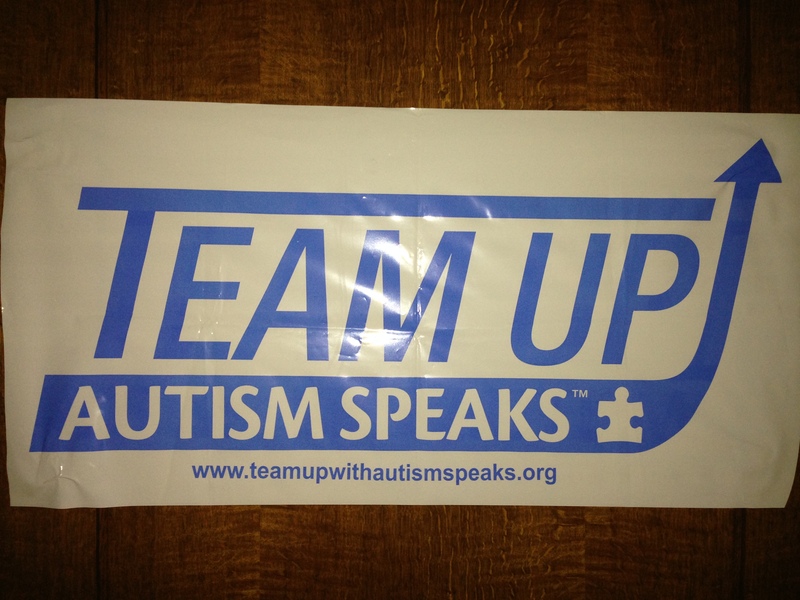 For the last 3 years I have run for Team Up with Autism Speaks. 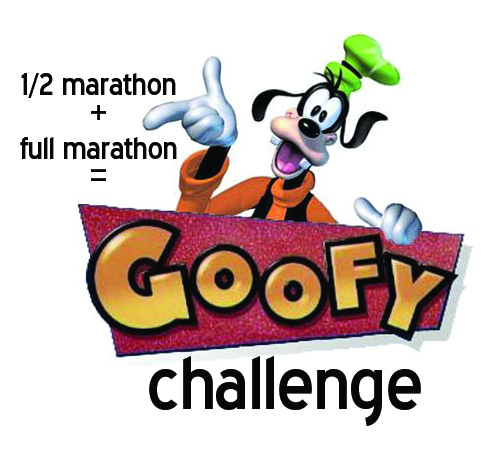 I had signed up on my own in April 2012 for the 2013 Goofy Challenge and was looking to perhaps run for a charitable cause when my niece was diagnosed on the autism spectrum. 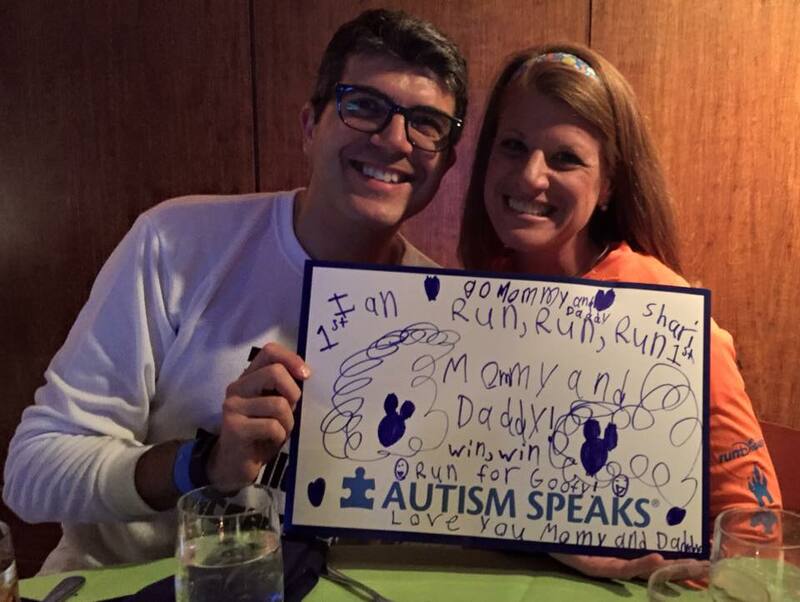 I decided then to sign up and run for an autism charity and put my miles to good use. 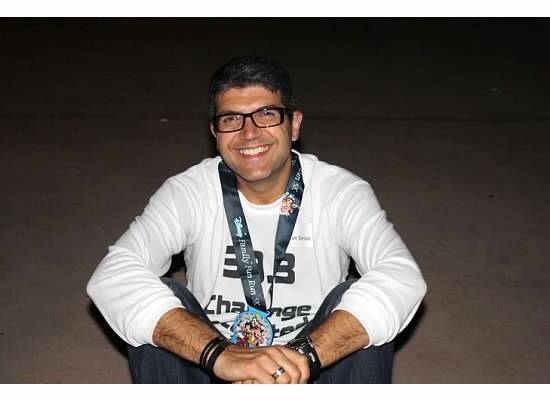 Over the last three years I have raised over $11,000 for this cause and hope that in some way all this running has changed or helped other people in ways that running has changed my life for the better. Although I cannot be with my family in the UK as an extra pair of hands I hope that the work I have done to raise funds has benefited other family such as mine. 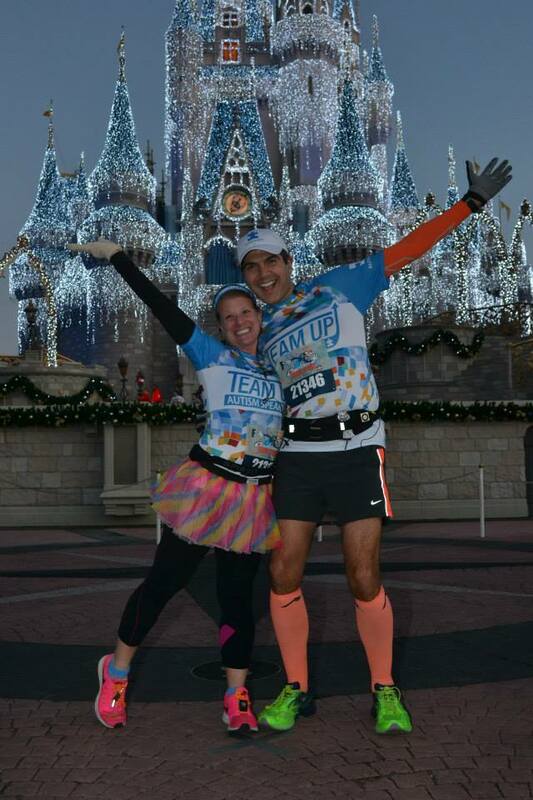 I have had the great pleasure of running with my wife in her first marathon (Disney 2013) and look forward to her joining me running her first Goofy Challenge this weekend as a Team Up team member. Notice that I said her first!!! 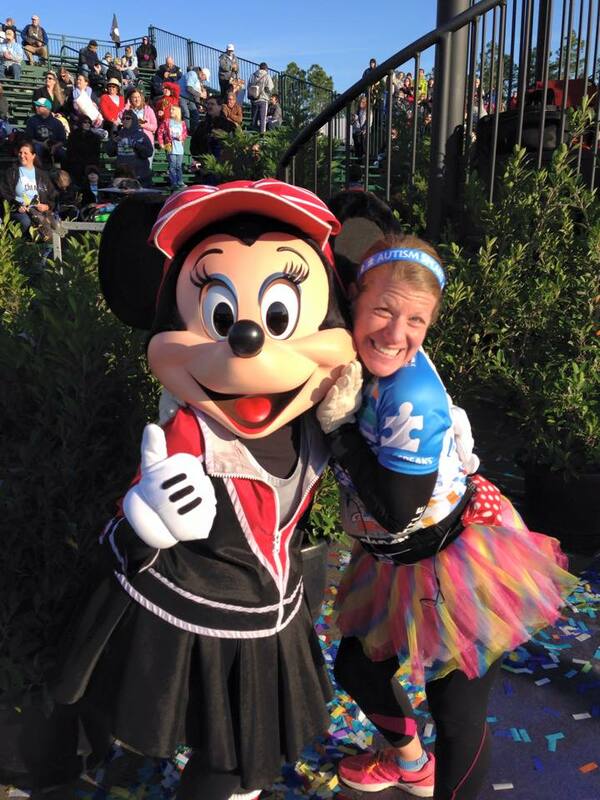 Along the way I have made many friends in the running and runDisney community (a big shout out to all my fellow Mickey Milers) and I also started this blog to document these races (although it includes more than just Disney races now). 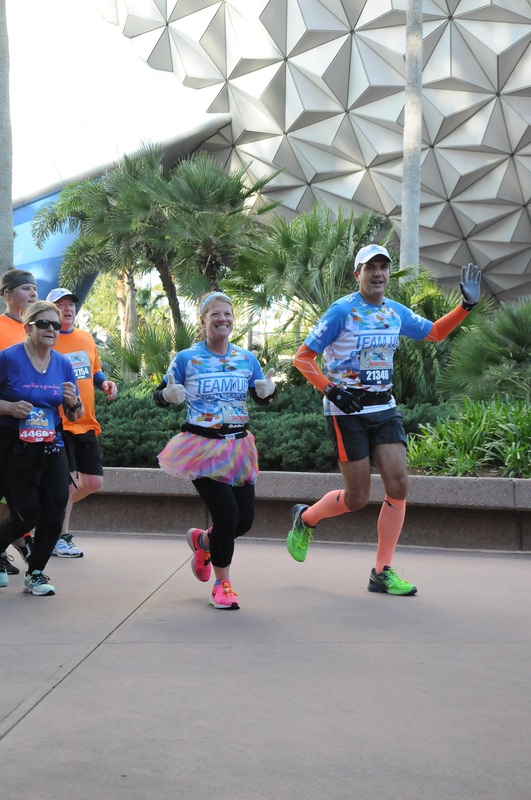 So as I head down for another year I will proudly wear my ‘Team Sadie’ shirt and hope to have 39.3 miles of fun with a few thousand of my fellow Goofy (and Dopey) friends. 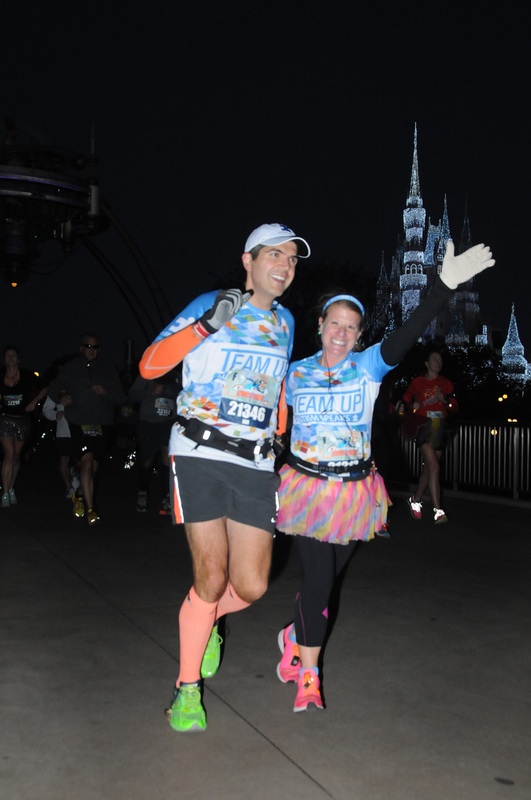 I’ll look forward to writing my 2015 race reports after this weekend but for now I will look back and share the first race recap(s) from the 2013 Goofy Challenge. Day 1, Day 2 and Day 3. You can also still make a donation at the following this link. Thank you and I’ll be in look forward to sharing our weekend with you soon. 2014 was quite a year. 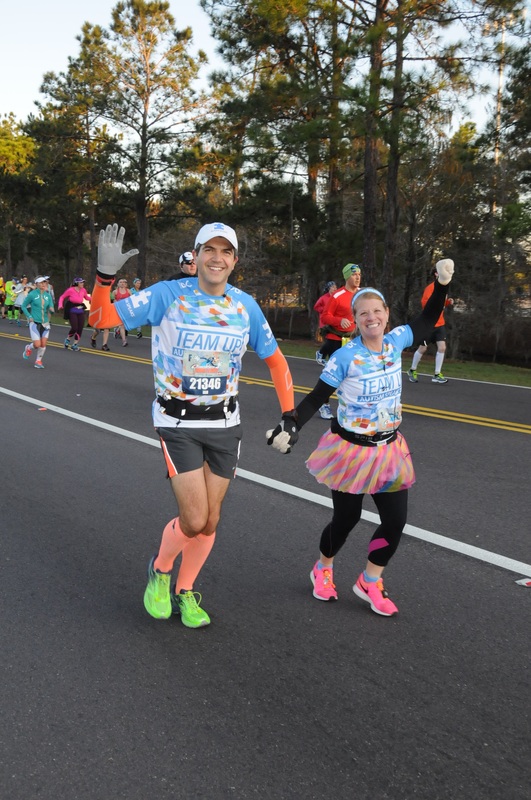 The highlights included running 4 Full Marathons (including a new PR), 4 Half Marathons and running over 2,000 miles (unplanned). 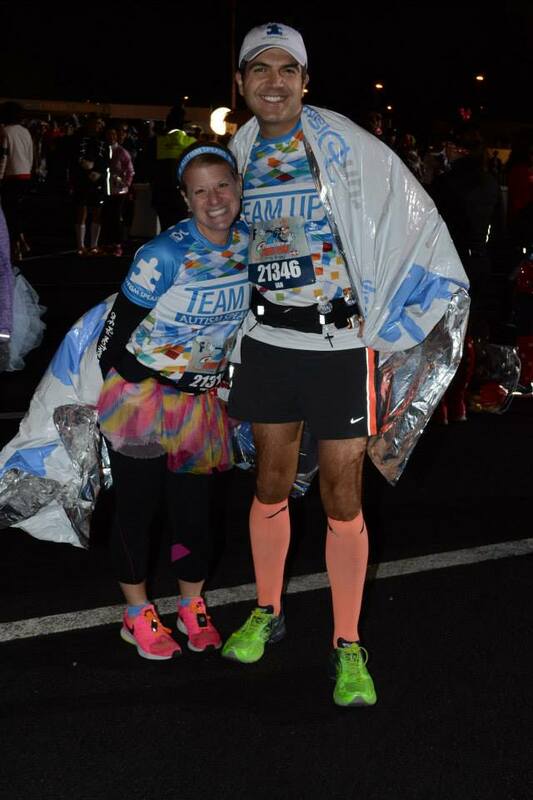 I completed my 10th Full Marathon in Baltimore this year (running with my Wife) and raised over $4,000 for charity (Autism Speaks). 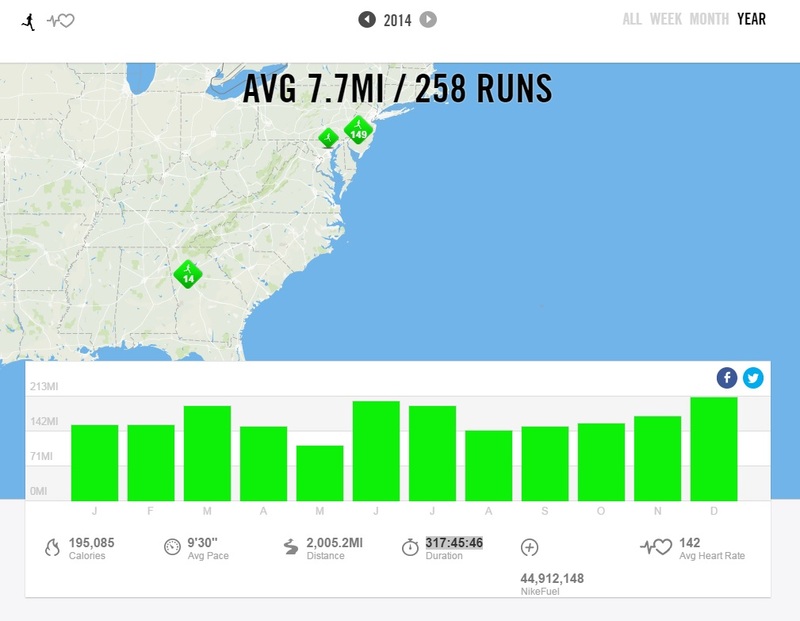 This month I ran a total of 211 miles. That is the most mileage I have ever run in one single month. 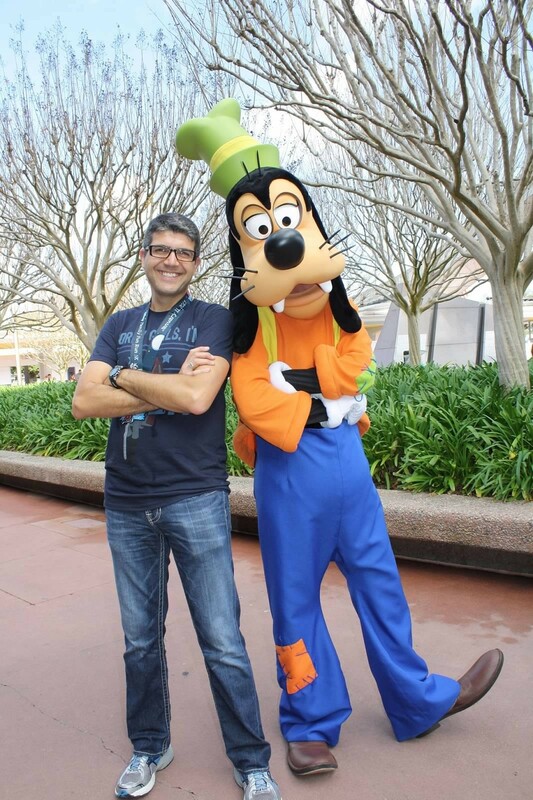 It was a combination of getting my training done for the upcoming 2015 Walt Disney World Goofy Challenge, business travel (where I had a little more time to run but I ate a lot more) and the realization mid December that I was actually close to 2,000 annual miles. 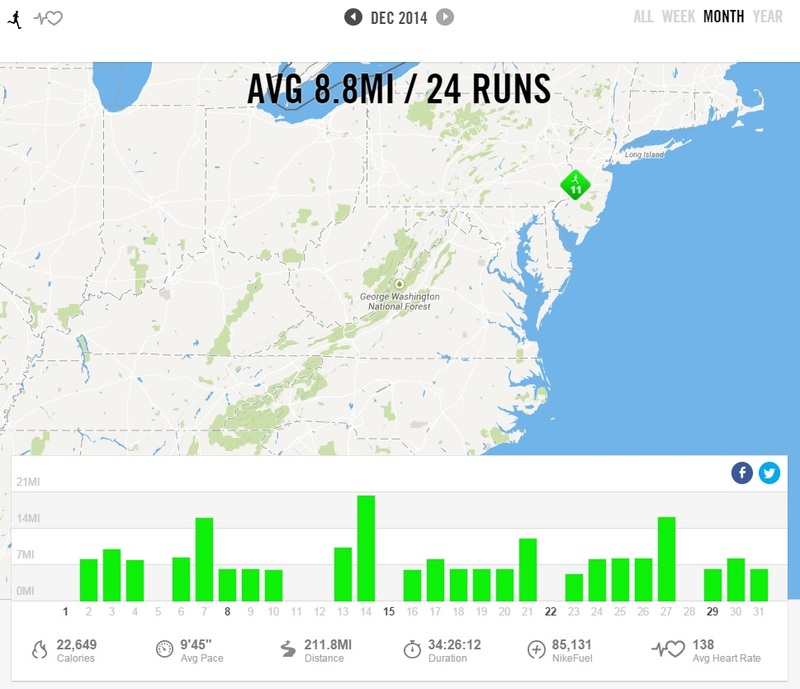 With all that said I added a couple of extra miles here and there and a couple of extra runs over the course of the month and finished December with 211 miles and bringing my 2014 total mileage to 2,005 miles. Not sure I will be repeating this pattern too many times but it’s quite an achievement for me. 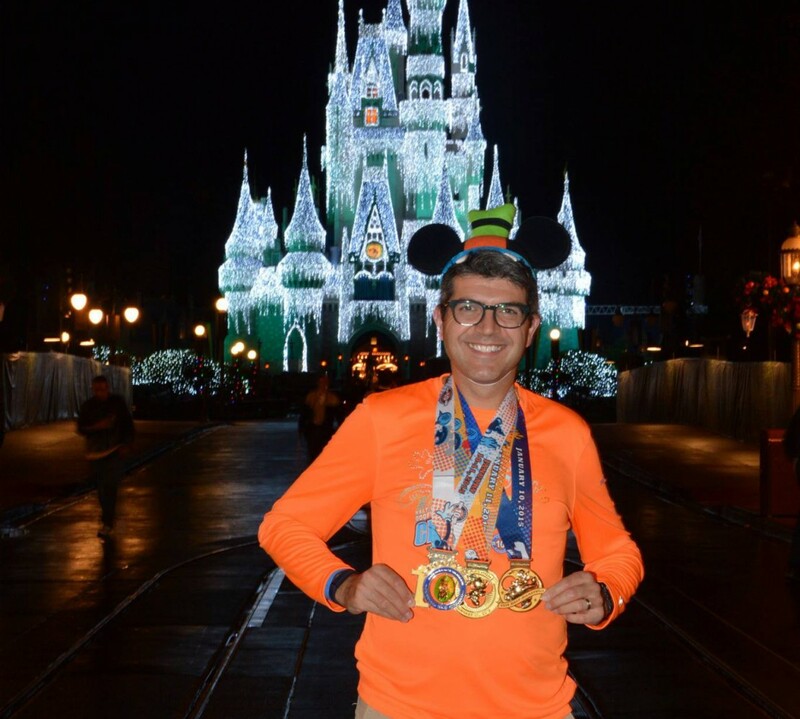 There were many highlights of the year for me, starting back in January with running the inaugural Walt Disney World ‘Dopey Challenge‘. 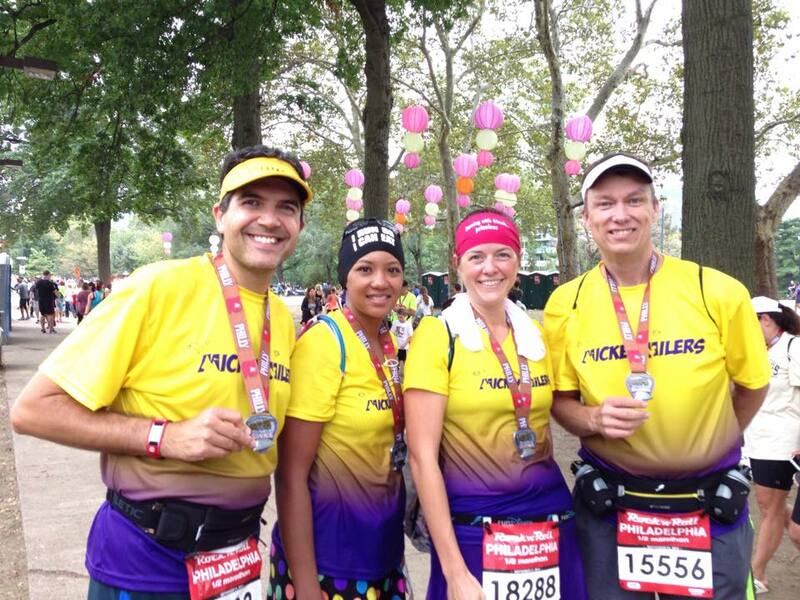 Four races in four days for a total of 48.6 miles. It was so much fun. Not sure I would rush to do it again though based upon the cost and logistics involved it ended up being a solo trip for me, however, I did make many friends that weekend and met up with lots of familiar faces too. 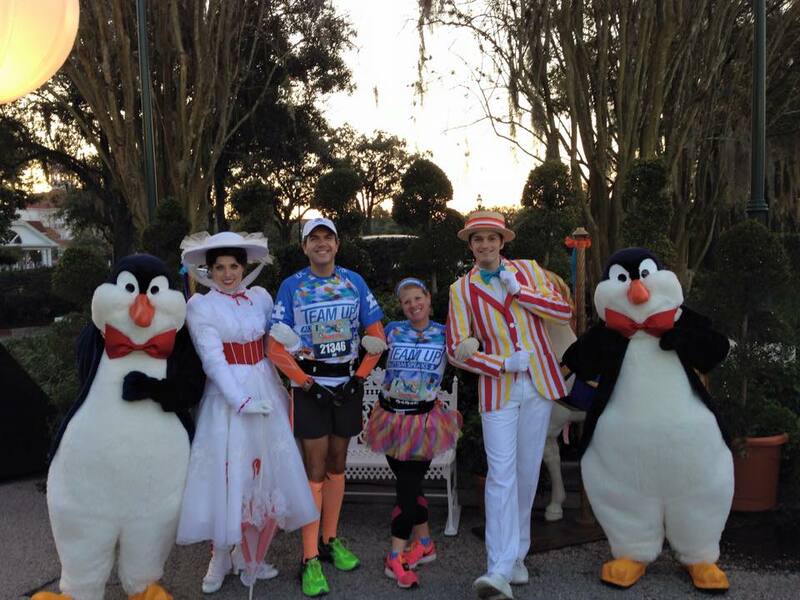 I also attended the Mickey Miles Podcast breakfast after the 5K and was there for the launch of the Mickey Milers running team. 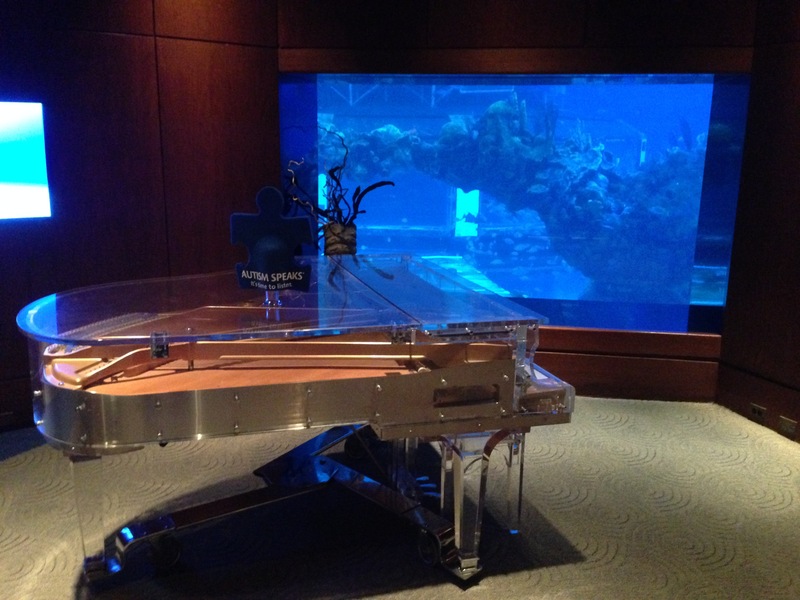 The team raises funds for the Give Kids The World charity village in Orlando Florida. 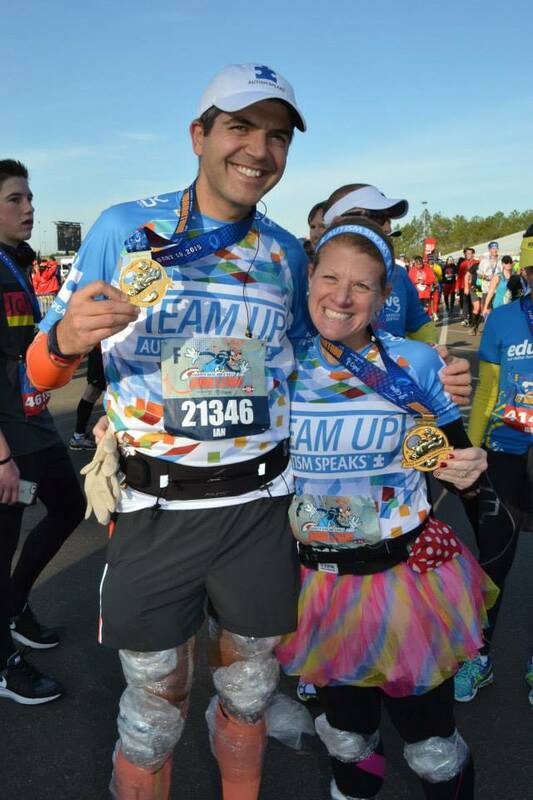 We are all over the country (and international too) but we interact regularly and meet up at races and I’ve even met up with members on business trips and on vacation. 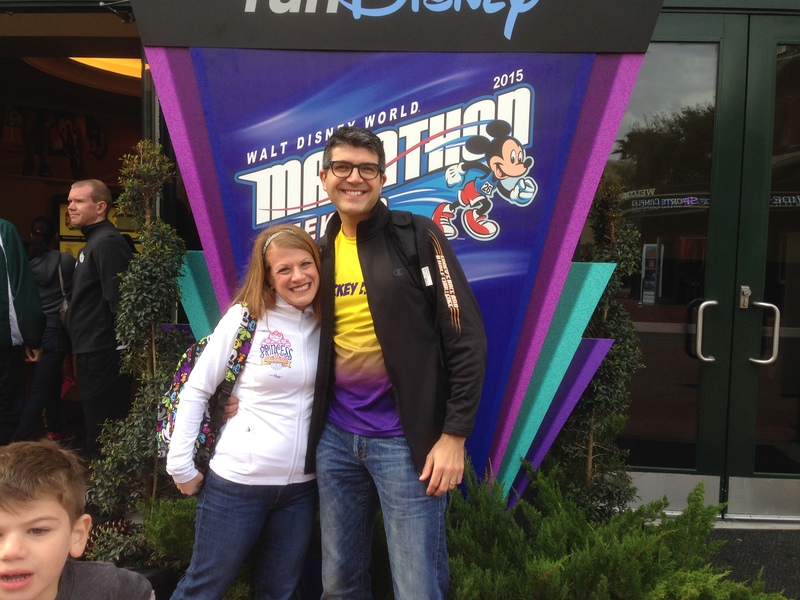 We are very identifiable by our yellow and purple team shirts and hats. 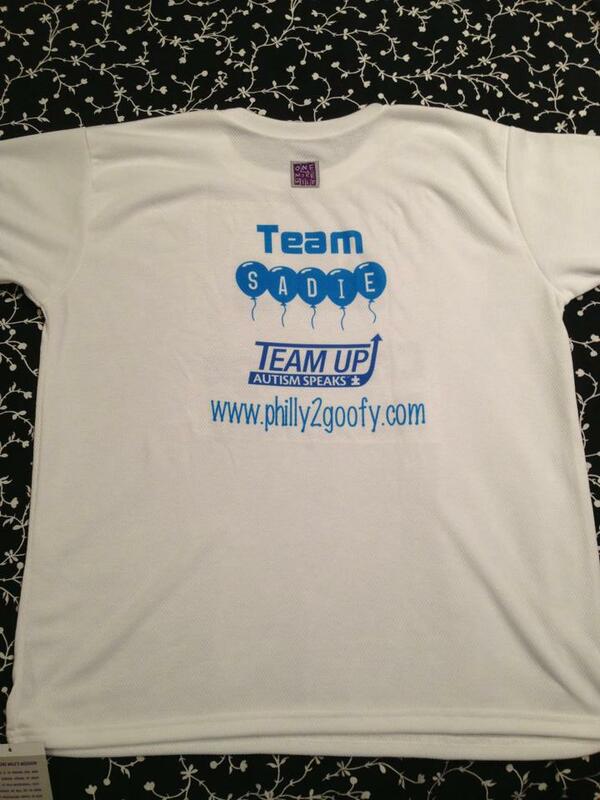 It’s a great group and a great cause. 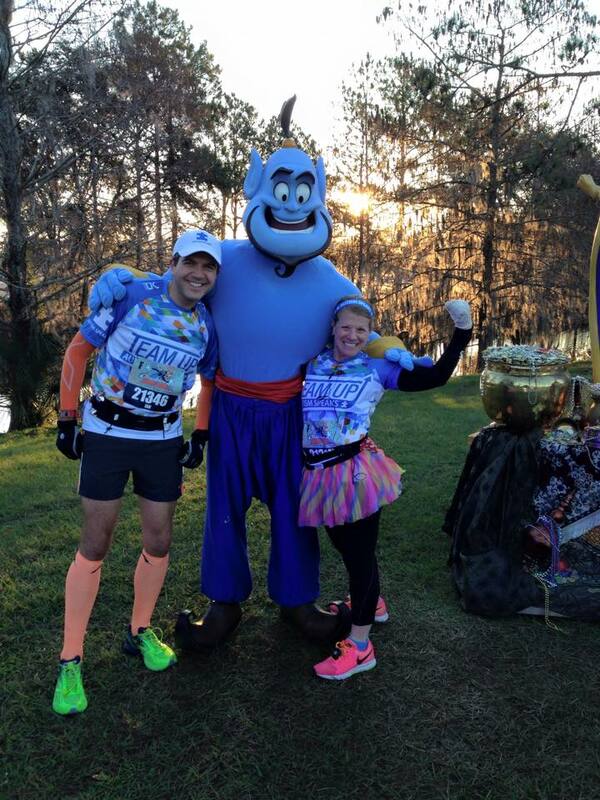 My other endeavors for charity are again for Autism Speaks and as of December 31, 2014 my wife and I raised over $4,000 and will be running the 2015 Walt Disney World ‘Goofy Challenge‘ in just a few days. 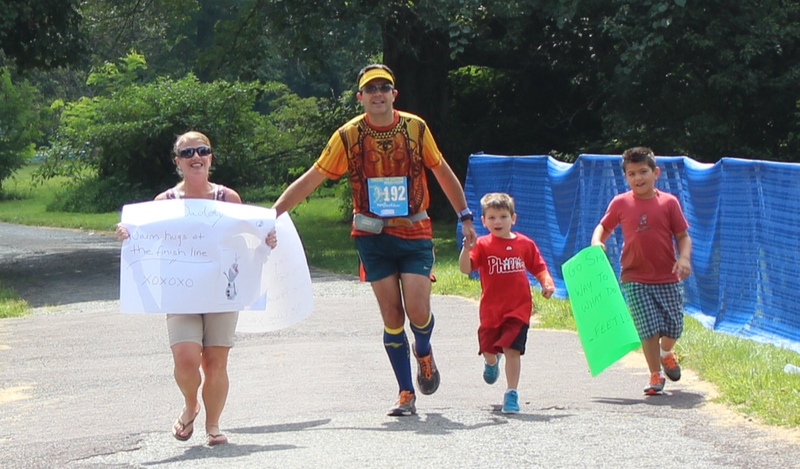 My goal is to make my miles mean something for more than just my fitness and raising funds for charity is a way that I can do so. 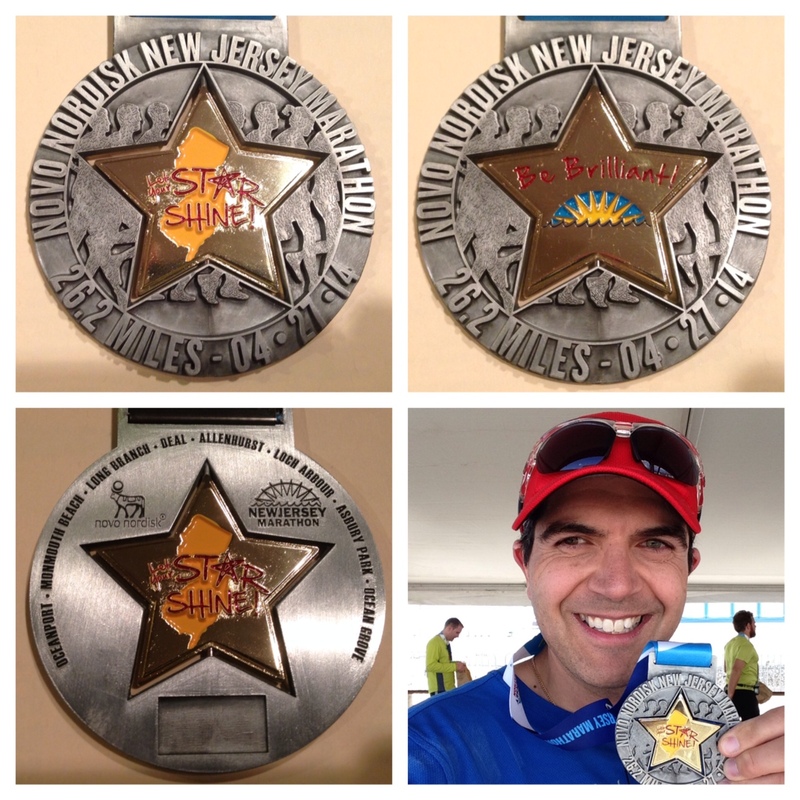 In terms of racing I achieved a PR at the New Jersey Marathon at the end of April a year after my meltdown at the same race. It was a pretty tough winter here in the north east and I did much of my training indoors at the gym. I learned to cope for multiple hours on a treadmill but it was great when spring finally arrived. 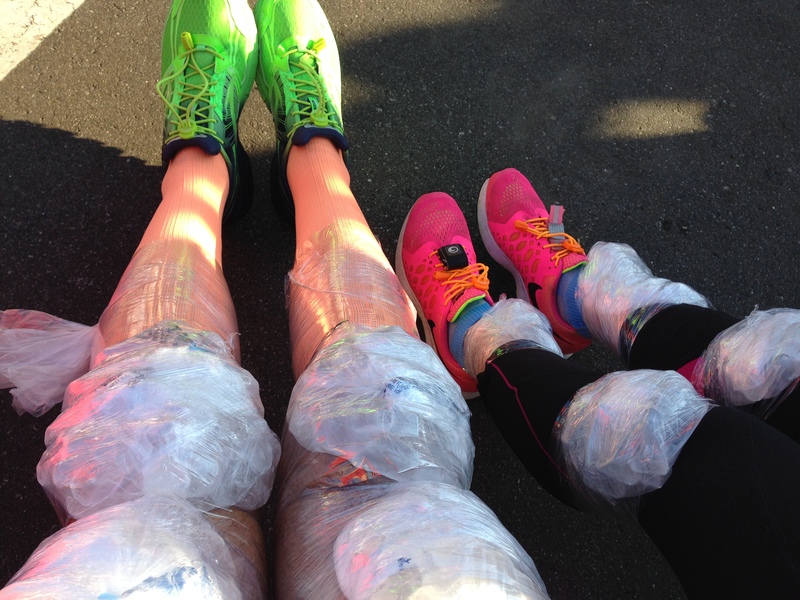 Conditions on the day of the marathon were tough and windy but I achieved what I set out to do (even though it was just by a few seconds). I was happy. 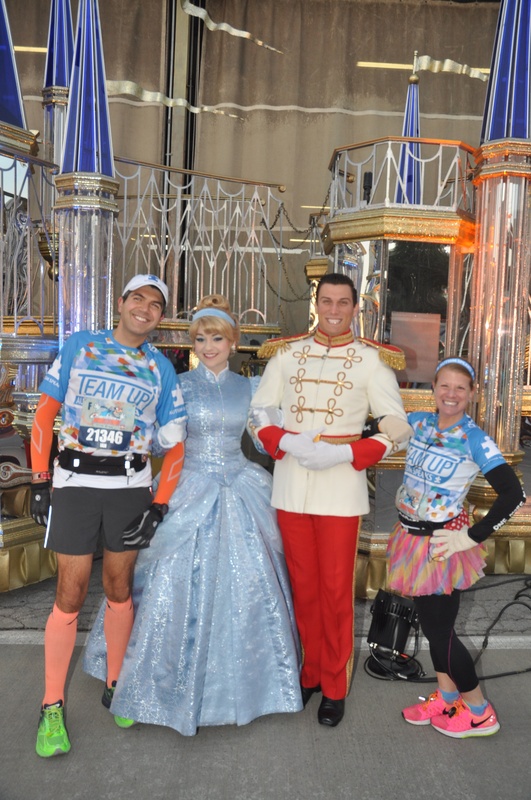 A few days after the marathon I had a small medical scare but thankfully all turned out for the best. 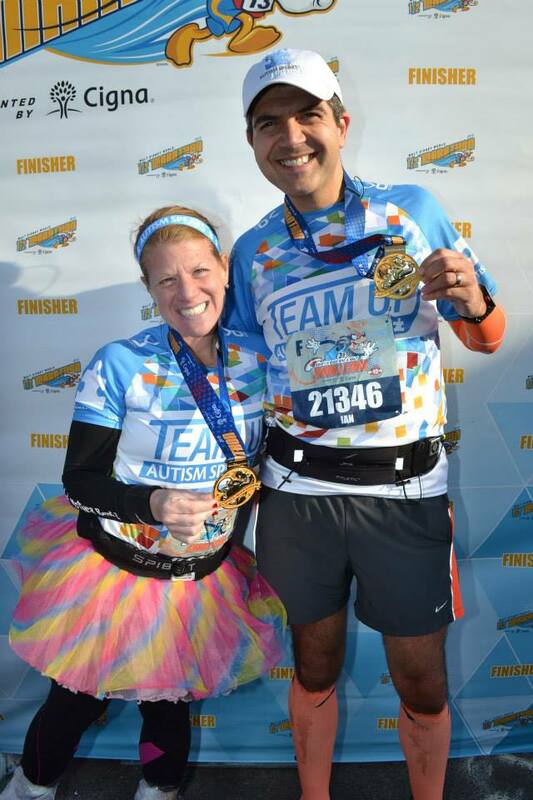 My wife and I took part in a few races together this year, the Hot Chocolate 15K in Philadelphia, the Philadelphia Rock and Roll Half Marathon in August and the Baltimore Marathon in October. 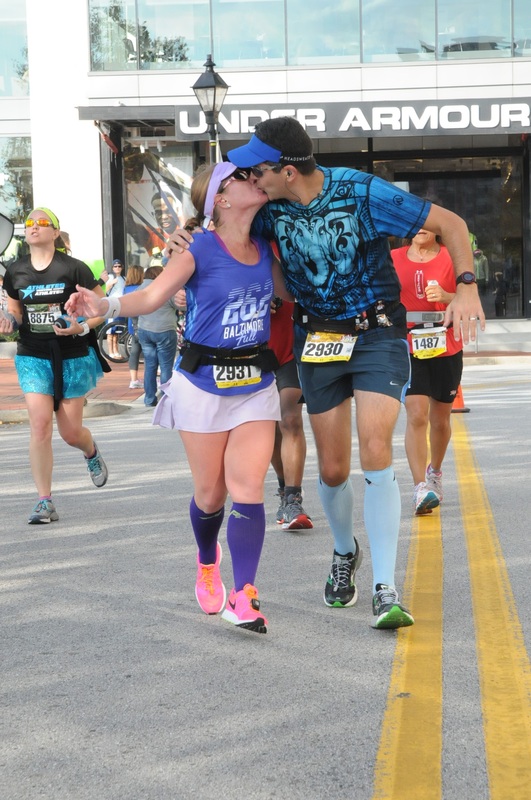 Great fun at each race and she also achieved a PR at Baltimore. 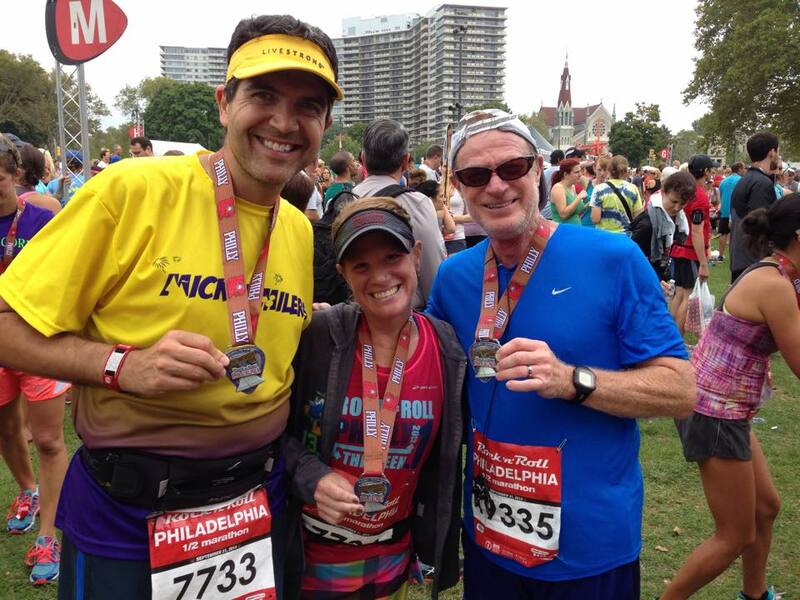 Great race, great weekend. 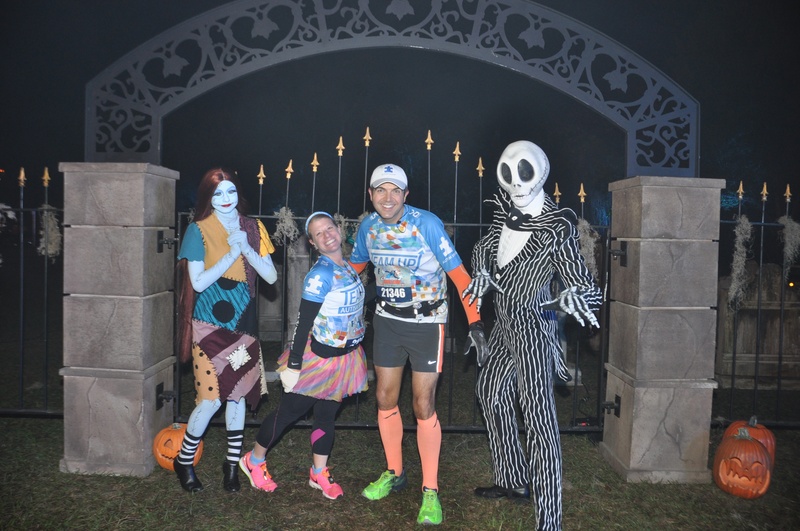 I was also selected as an INKnBURN ambassador during the year and had lots of fun wearing some colorful and artistic outfits at races. 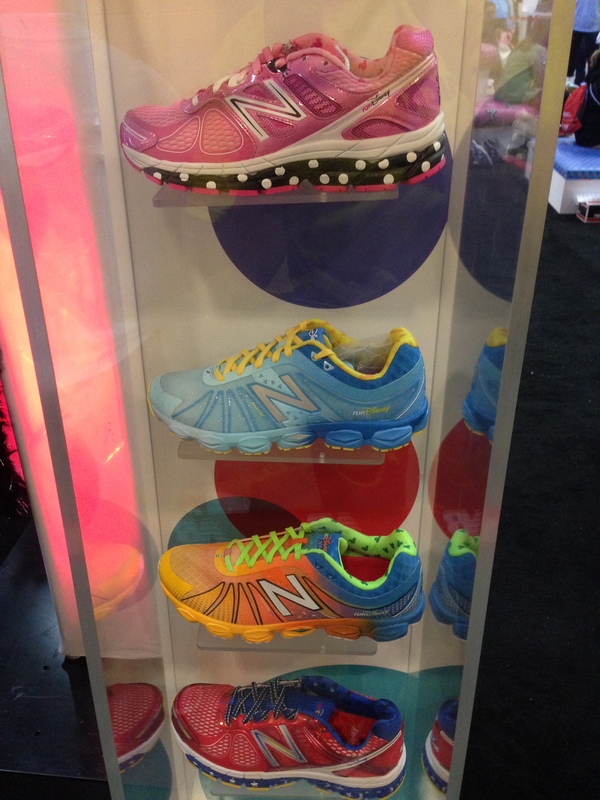 I have lots of options now to run in. 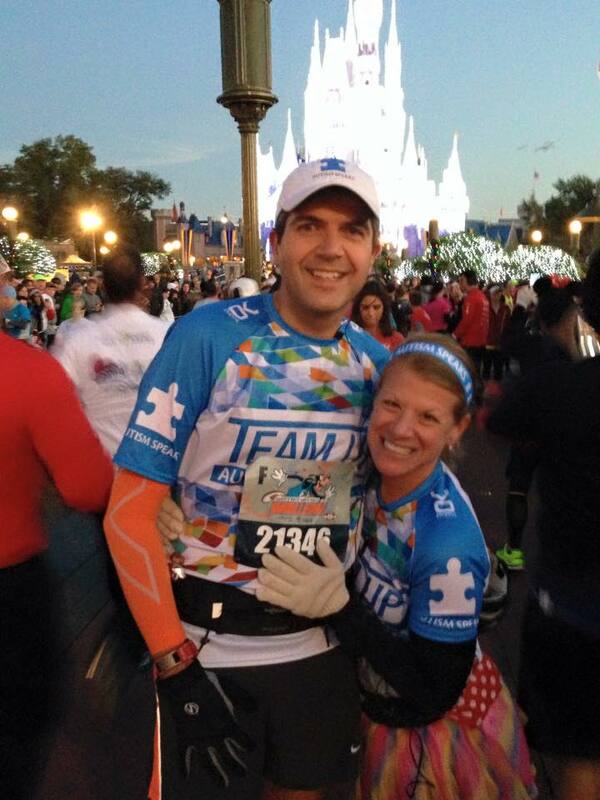 I have the INB shirts, my Mickey Milers team shirt and my Autism Speaks team gear for the Disney races. I think I don’t need to buy any gear for a while (this is not a New Year’s resolution so don’t hold me to that). 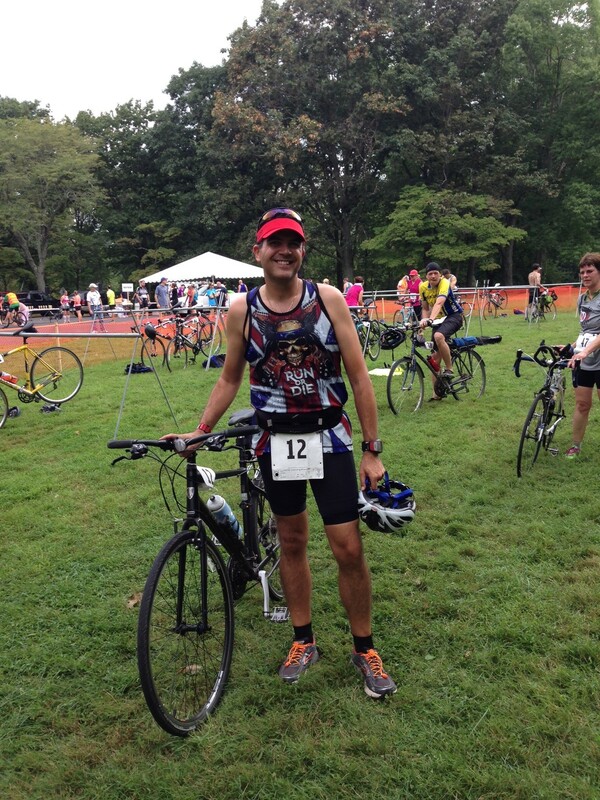 Another PR this year was achieved at the Bucks County Duathlon. 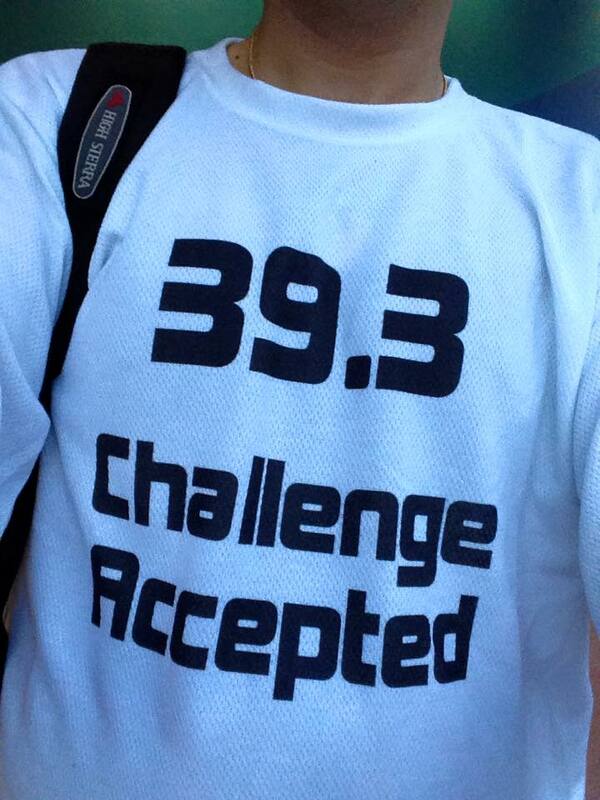 I was unable to participate in 2013 due to a family wedding but this year I came back and beat my previous PR by 5 minutes. 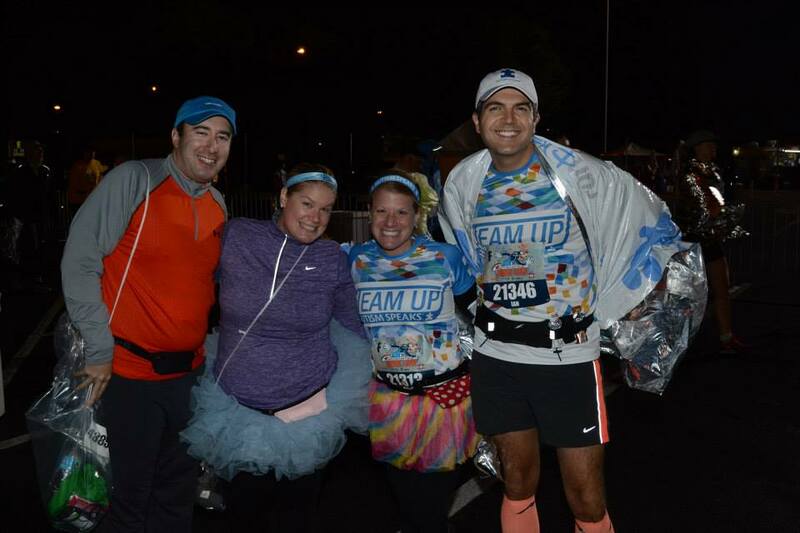 I had a bit of a struggle at the ‘Chasing the Unicorn’ Marathon in August but the highlight of that day was running across the finish line with my family. That made anything else unimportant and I was happier than my performance really reflected as a result. 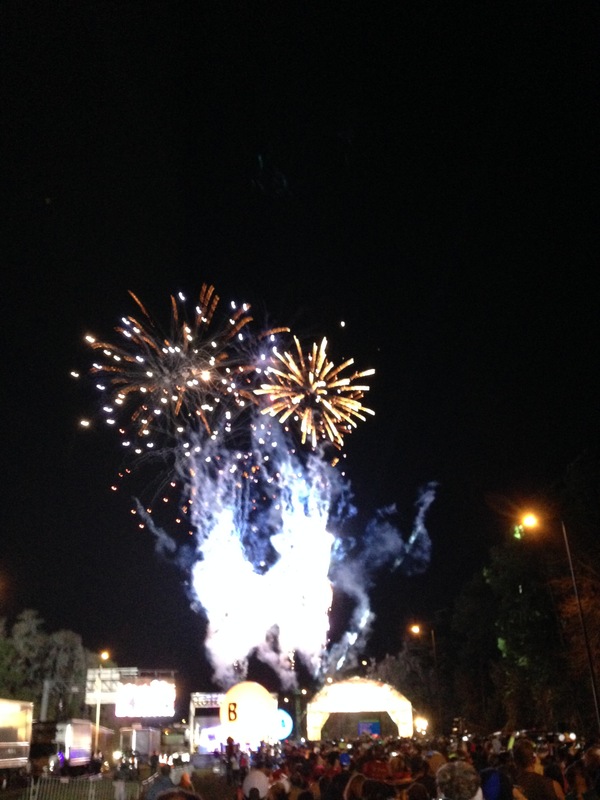 So what does 2015 have in store to improve upon 2014? I’m not sure yet but plenty of things already lined up to look forward to. Thanks for sticking with me for another year. I appreciate all your ‘likes’ and kind comments and look forward to seeing you at events and hearing on your success too. Wishing you all a very happy and prosperous 2015. 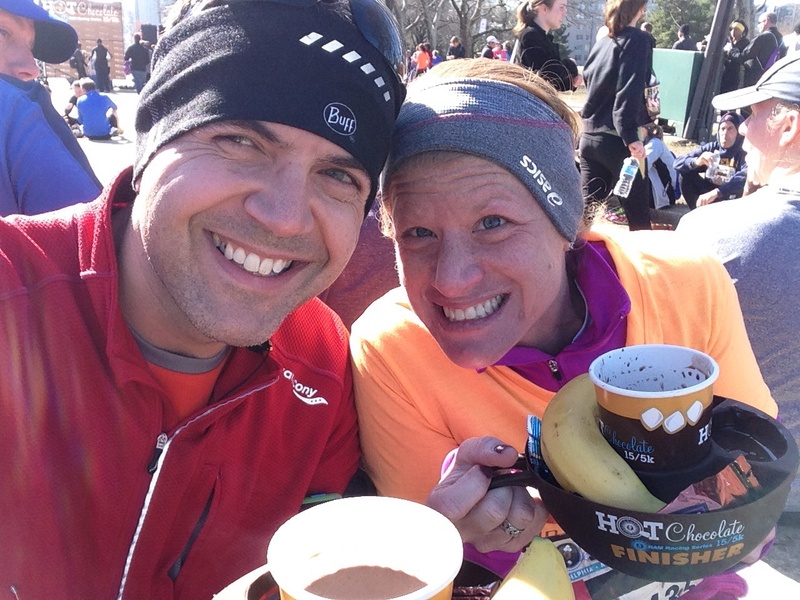 With my wife enjoying the Baltimore Marathon. Good times.